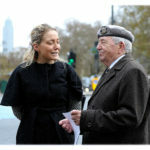 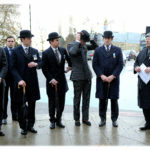 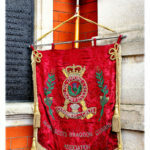 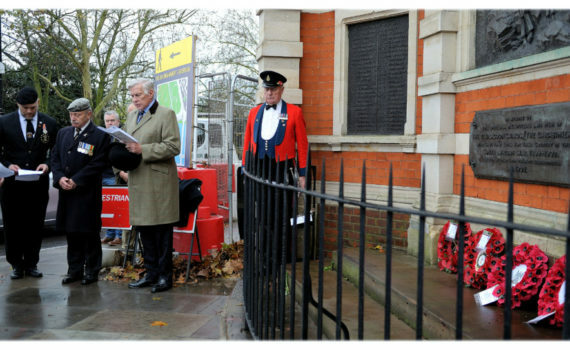 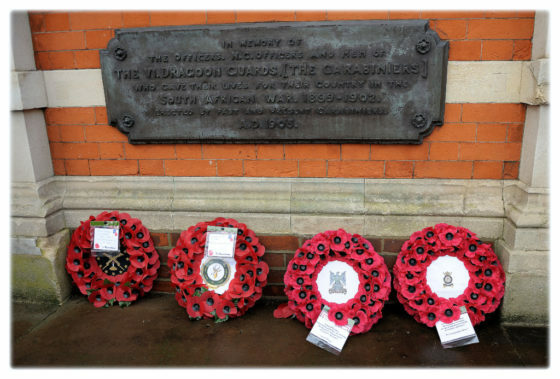 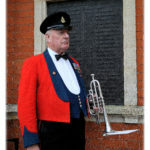 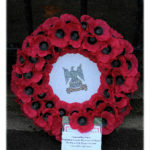 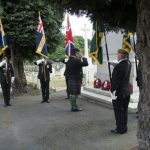 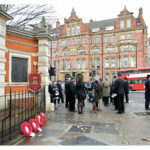 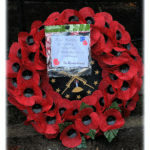 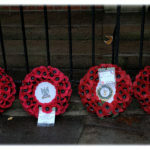 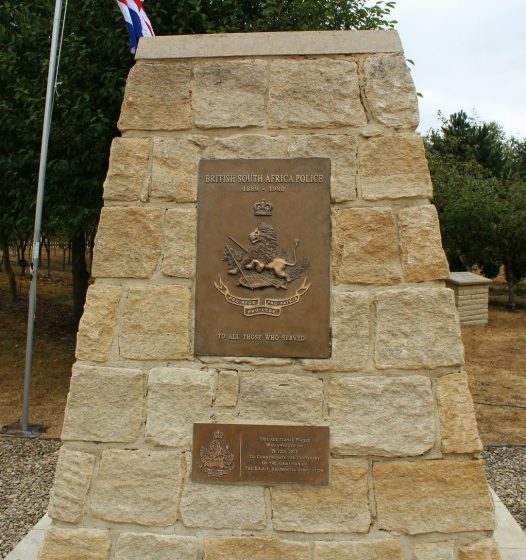 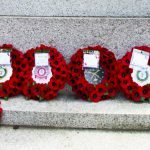 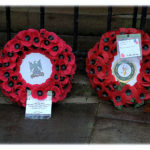 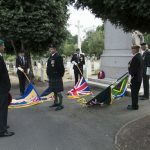 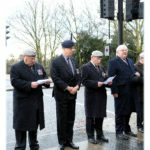 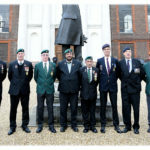 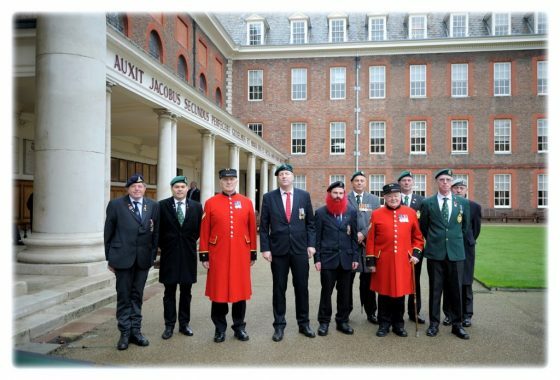 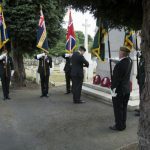 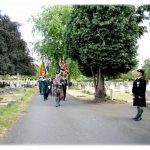 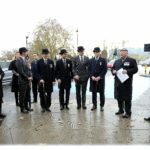 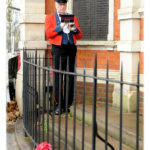 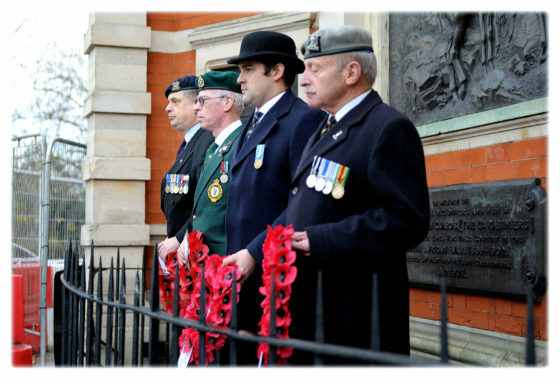 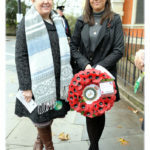 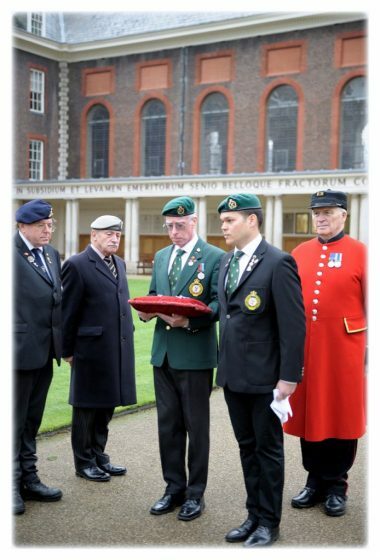 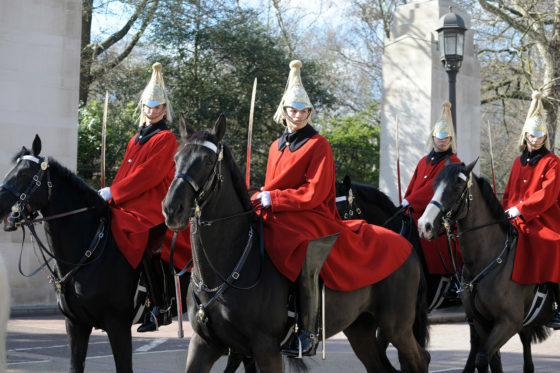 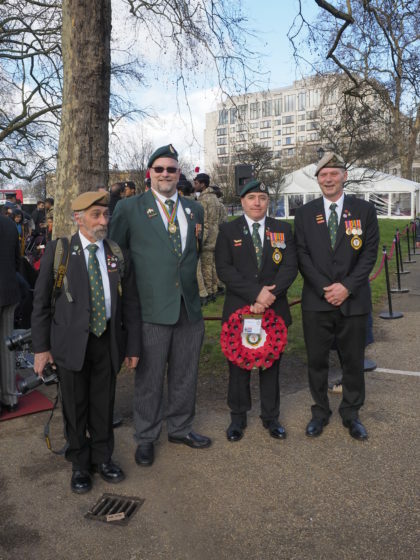 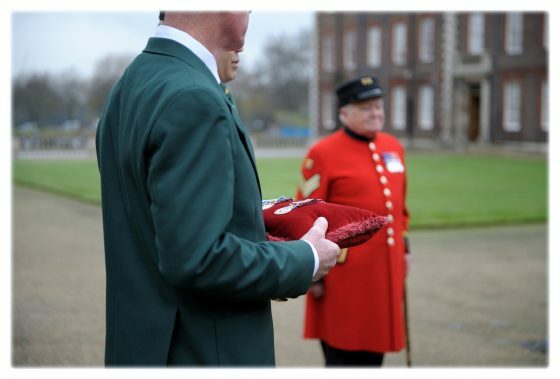 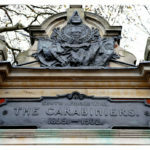 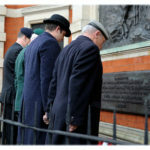 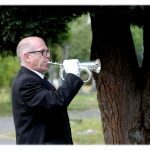 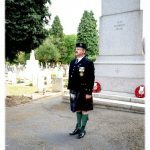 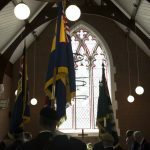 A small group of Legionnaires and Moths attended the Observance at the Carabiniers Memorial, Chelsea, on the first Sunday in December, hosted by the Royal Scots Dragoon Guards Association (RSDGA). 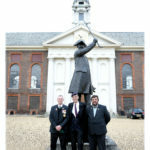 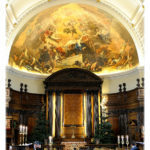 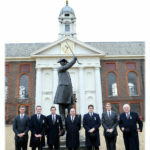 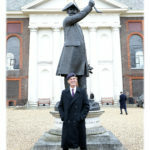 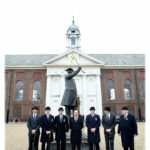 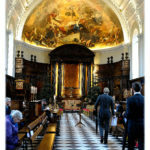 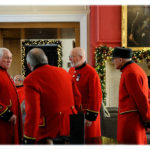 The day continued with a service in the prestigious chapel at the nearby Royal Hospital, Chelsea, home of the Chelsea Pensioners, followed by an excellent curry lunch. 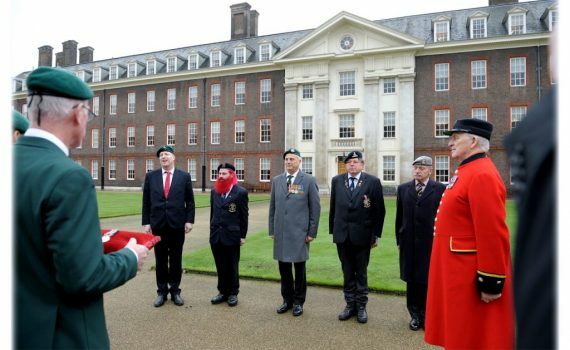 A highlight following the service, was a medal parade held in Statue Court within the hallowed precincts of the Royal Hospital, where SA Legion England branch Chair, Lgr Claudio Chistè, presented long overdue medals to two recipients. 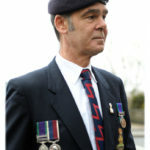 Moth Jessie Bostock received his General Service Medal and Legionnaire Barrie Gooden received his General Service Medal and Unitas Medal. 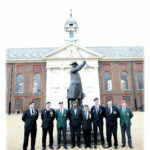 In addition to Claudio and the recipients, SA Legion England branch Vice-Chair, Russel Mattuschek, Legionnaires Tony Povey, Dave Wiseman and Theo Fernandez, Moth Mark Samson, Old Bill General Browning shellhole, Tony Grey, RSDGA and two Chelsea pensioners, Sergeant Fred Bolwell, ex-Coldstream Guards and Corporal Tony Hunter, ex-Royal Tank Regiment also attended the parade. 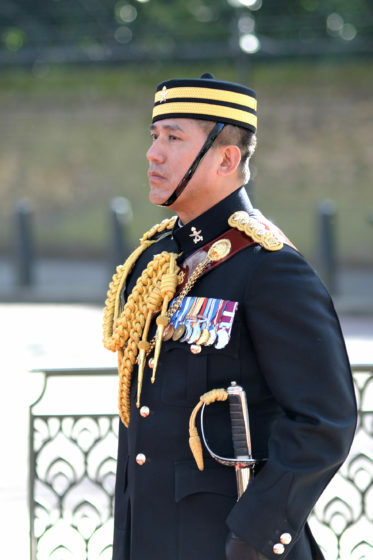 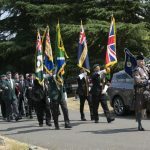 It was an honour to hold the parade on such august ground which was sure to make the occasion all the more memorable for medal recipients and attendees alike. 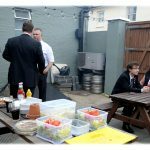 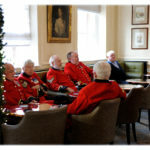 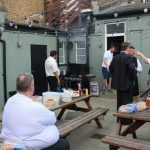 The day ended with an opportunity to meet members of the RSDGA, Chelsea pensioners, and some Pearly Kings and Queens in the bar over a beer or two. 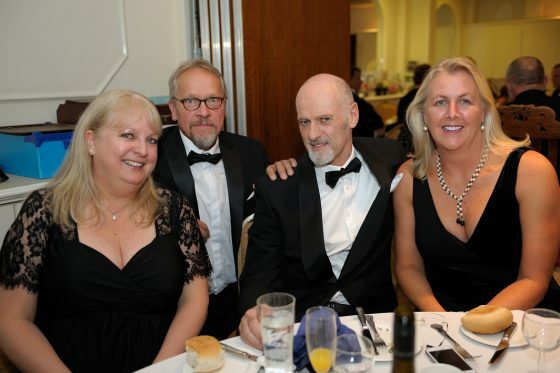 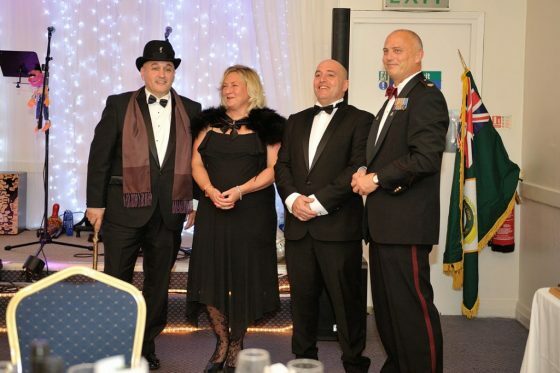 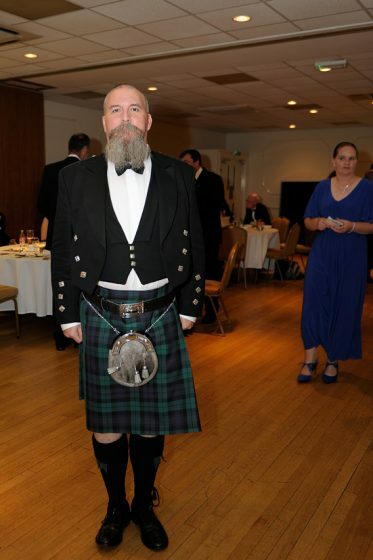 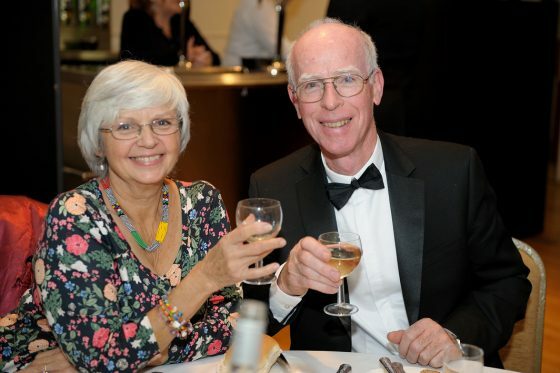 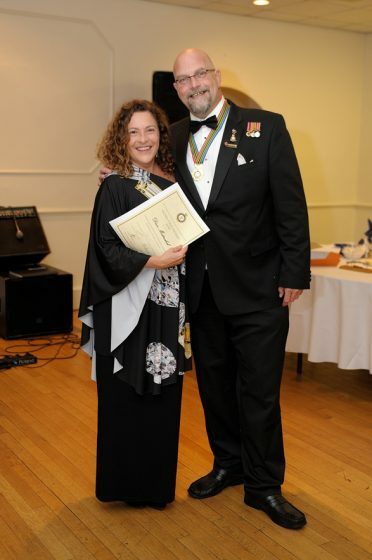 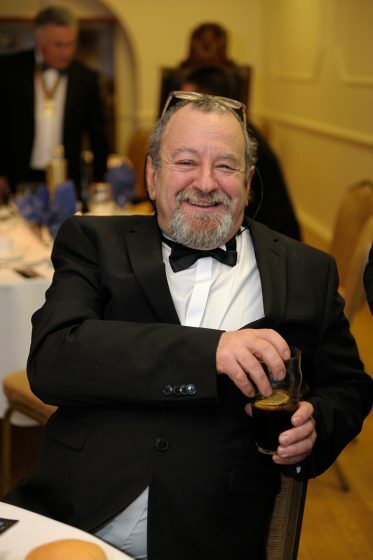 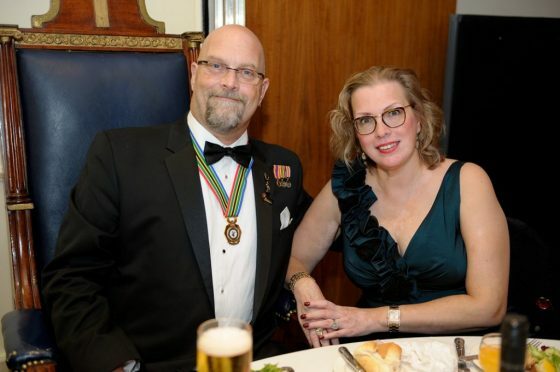 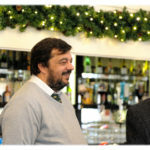 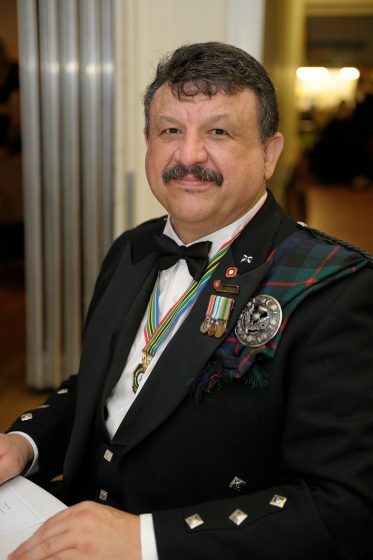 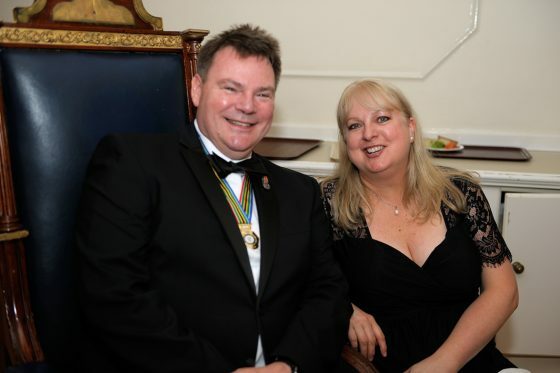 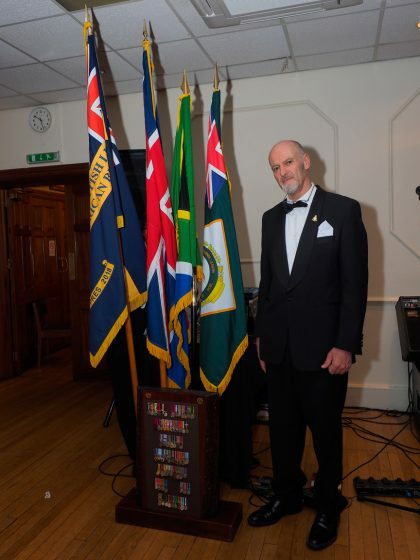 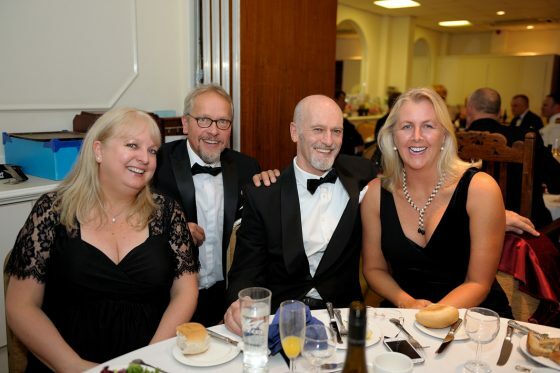 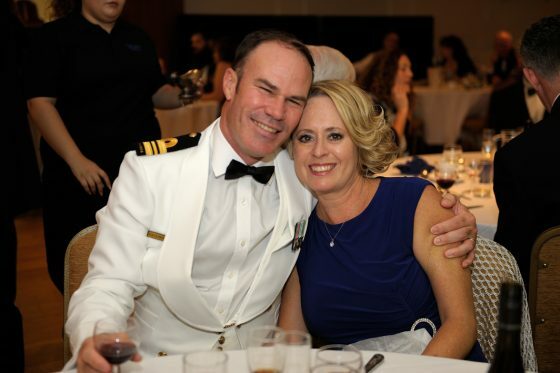 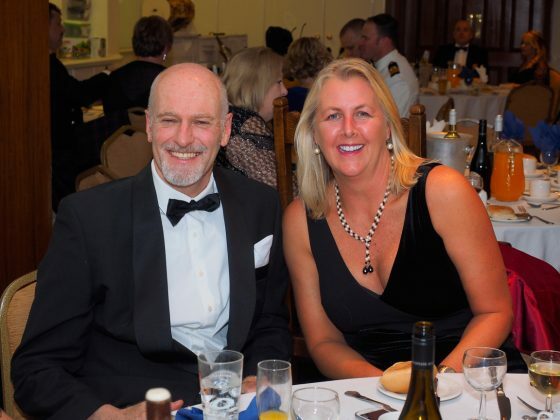 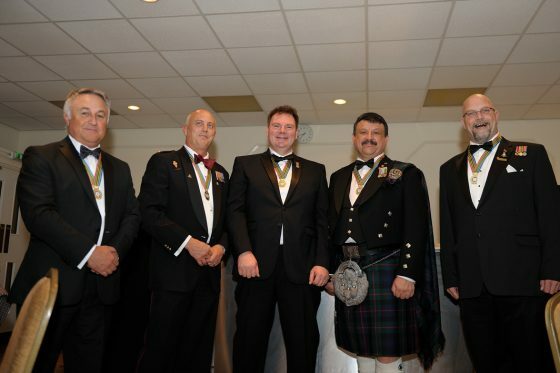 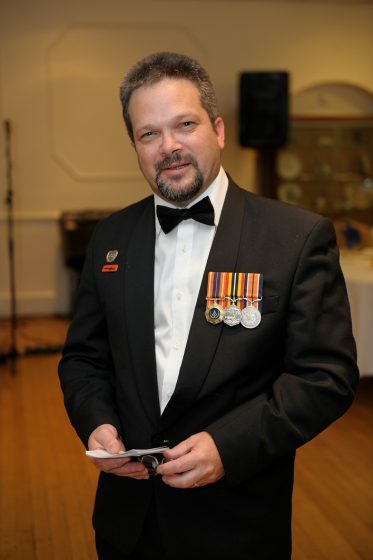 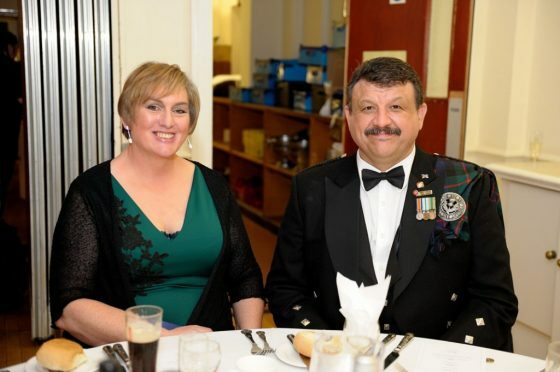 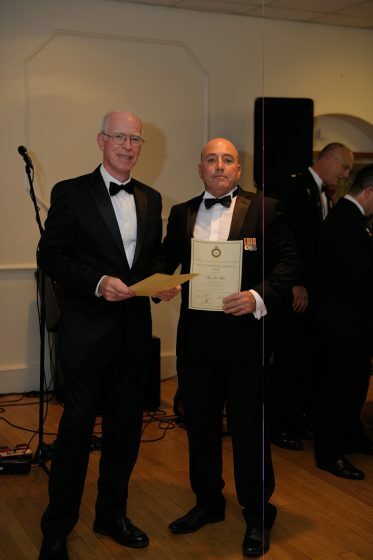 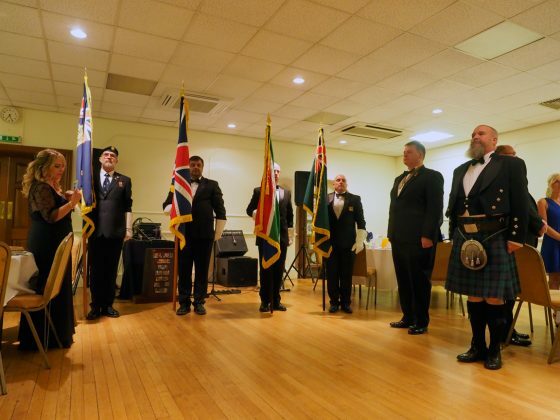 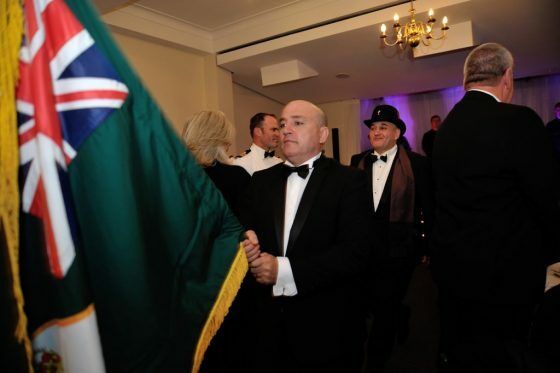 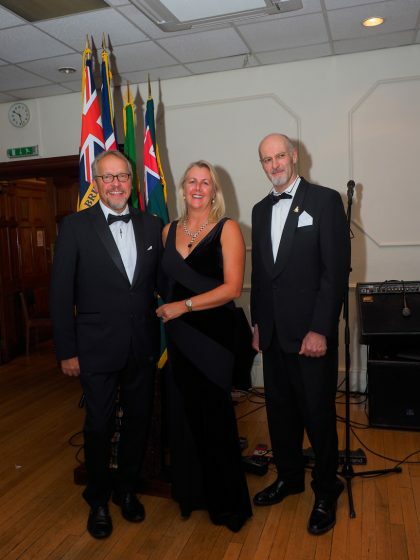 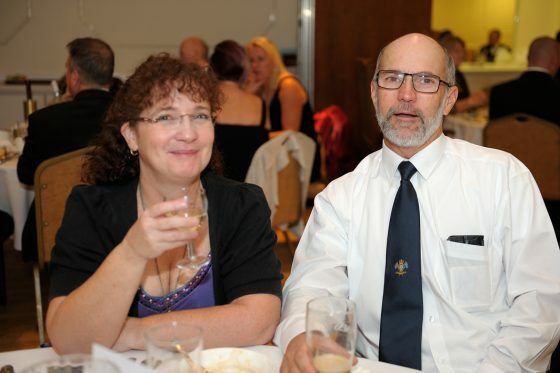 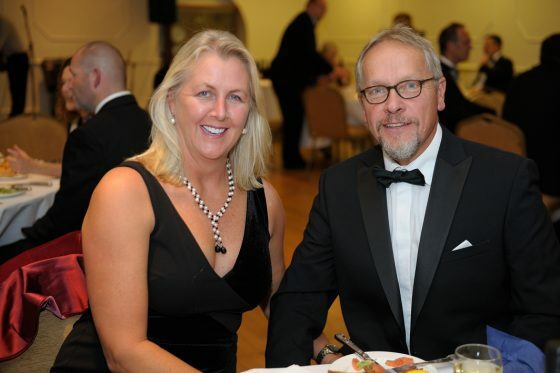 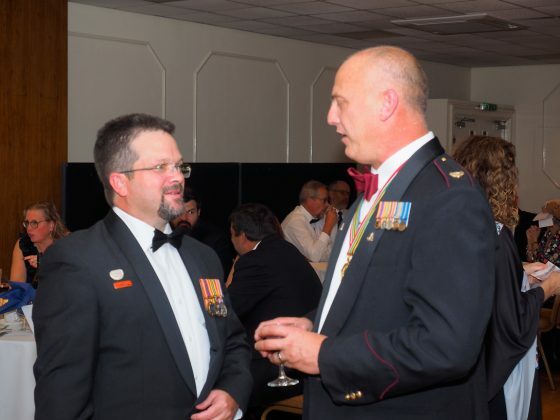 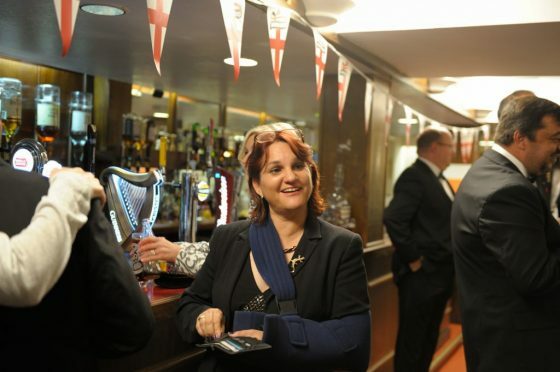 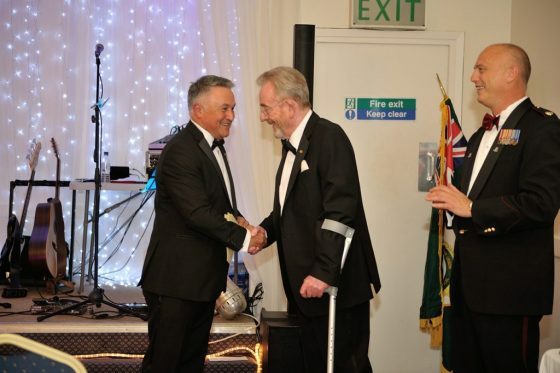 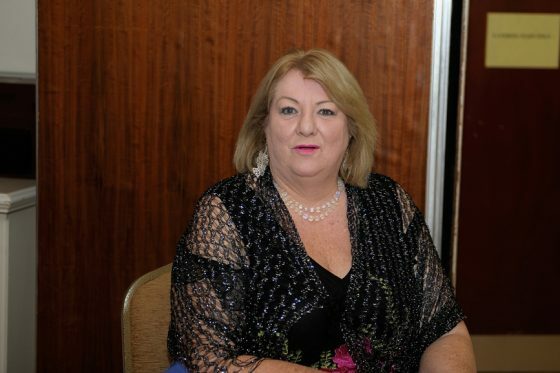 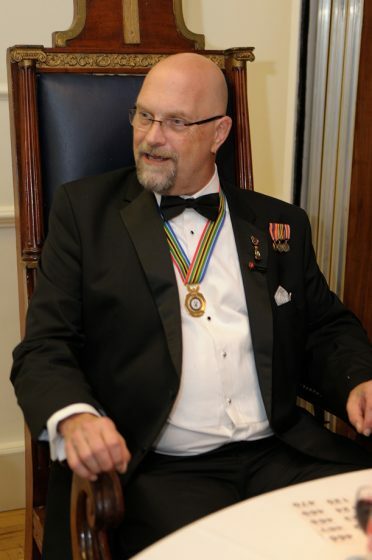 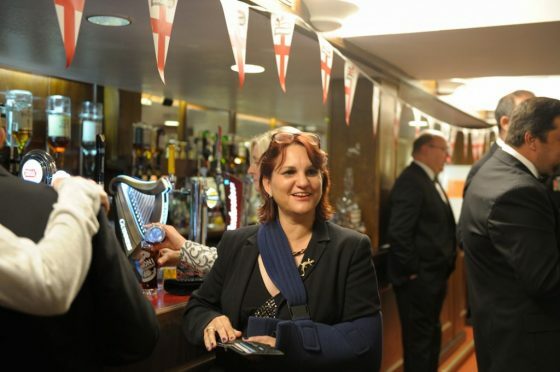 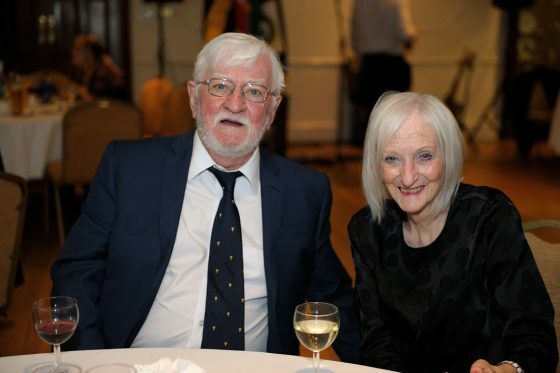 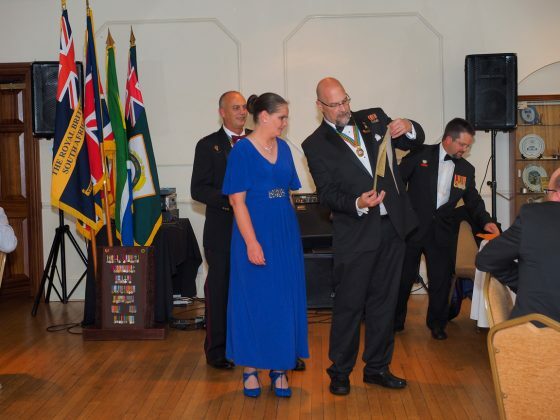 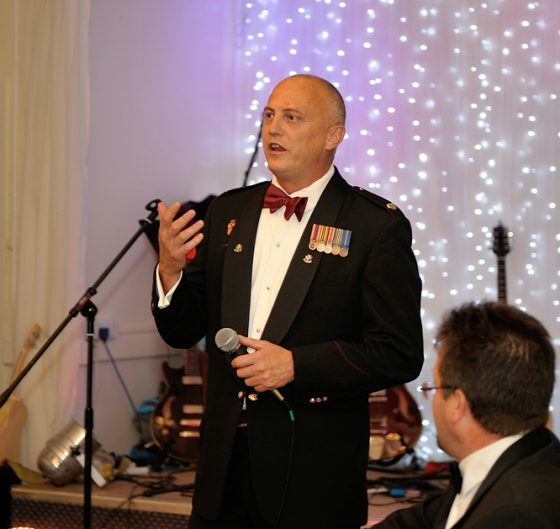 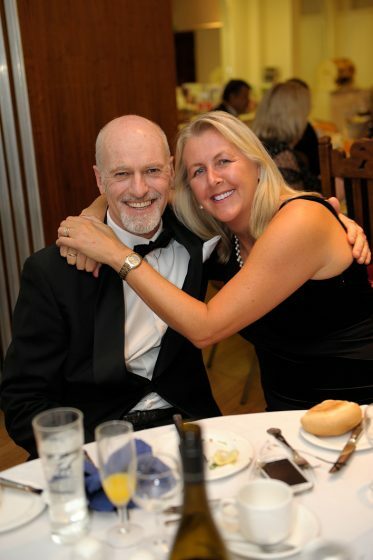 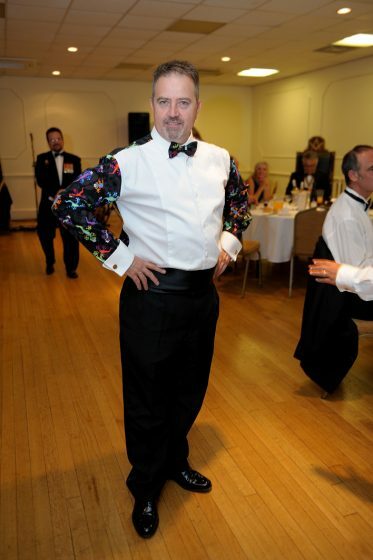 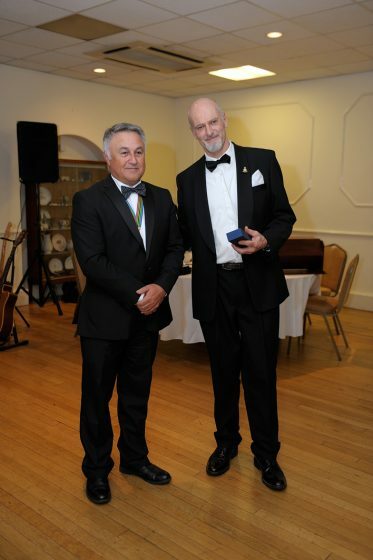 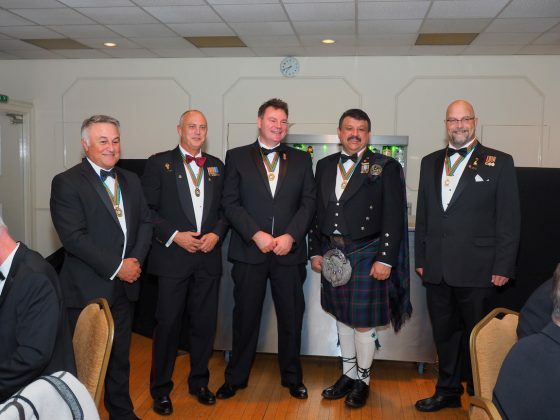 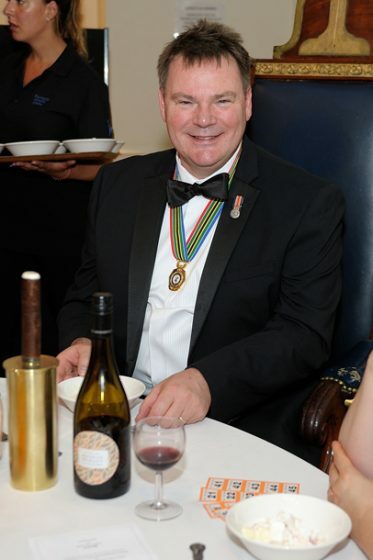 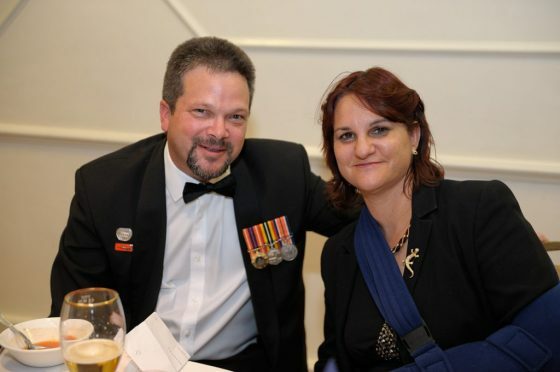 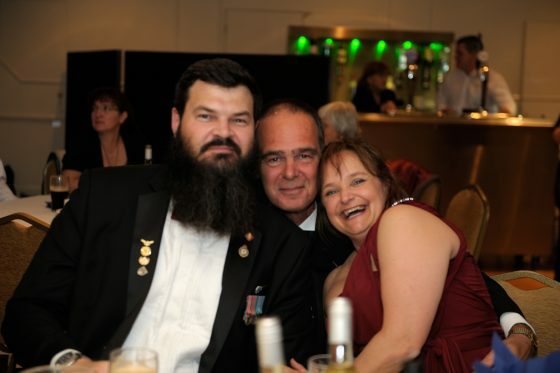 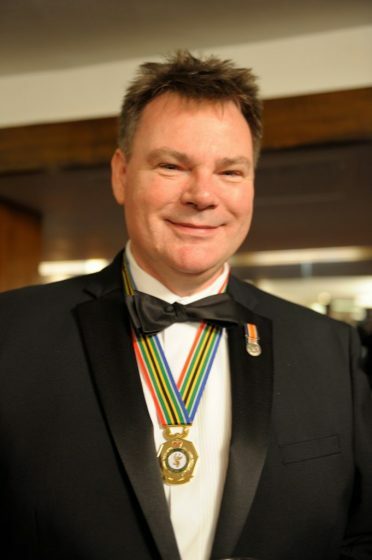 The inaugural SA Legion UK & Europe Annual Ball & Awards dinner took place on 16 September at Cole Court, Twickenham. 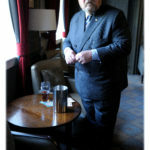 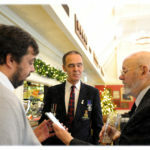 On arrival, we were welcomed with a glass of sherry and a chance to catch up with friends, old and new. 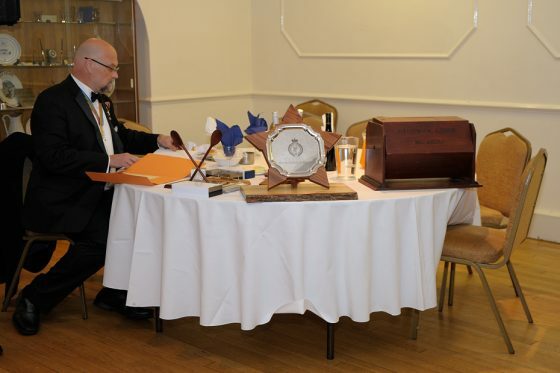 Entering the hall we took our places at the beautifully laid-out tables. 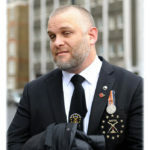 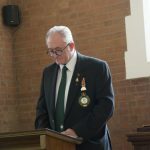 We were welcomed by SA Legion UK and Europe Regional Chair, Lgr Cameron Kinnear. 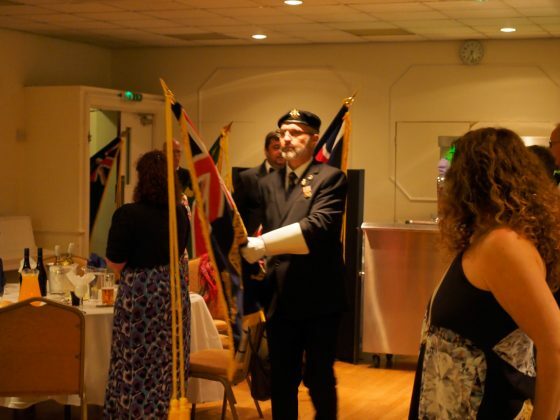 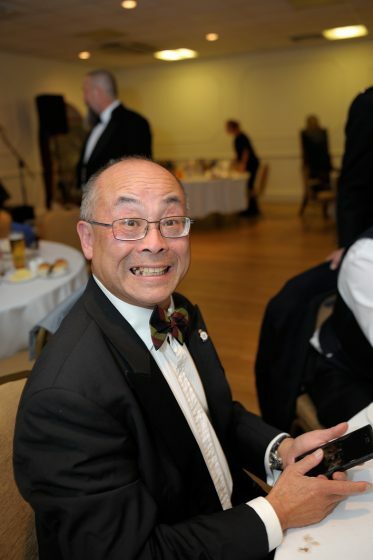 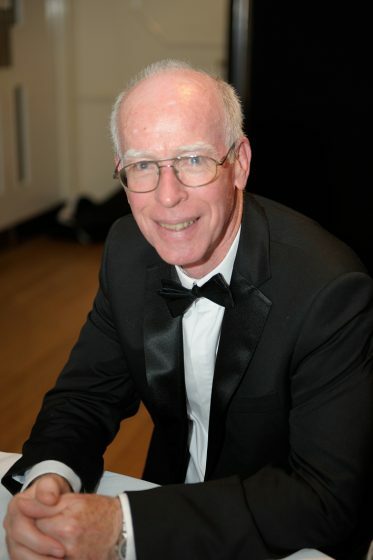 As Master of Ceremonies, Lgr.Dirk Benneyworth then took control of the evening’s events, doing a fine job of keeping the attendees on their toes. 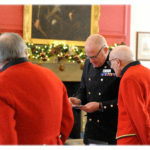 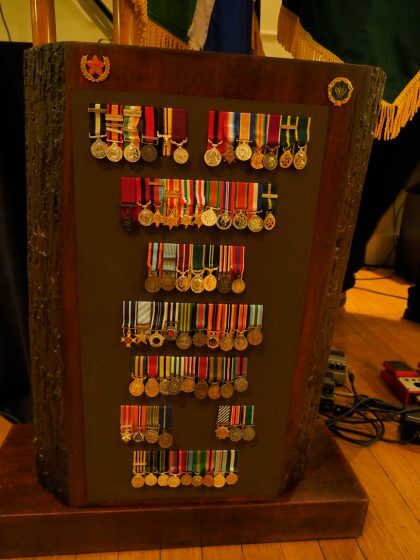 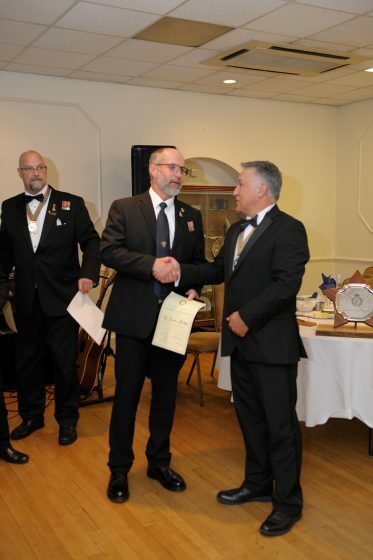 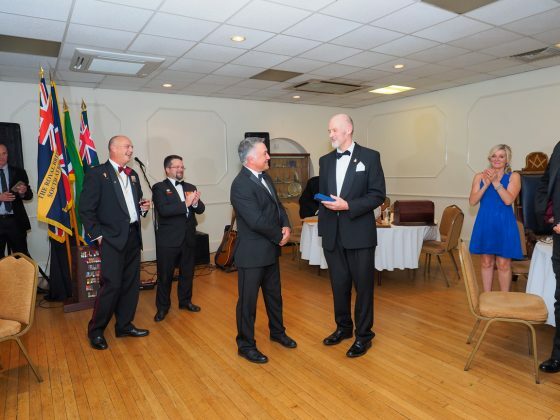 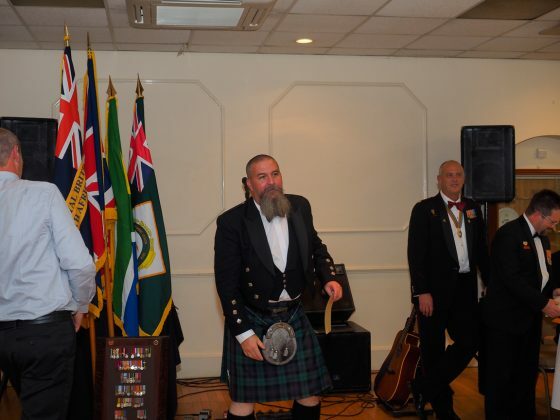 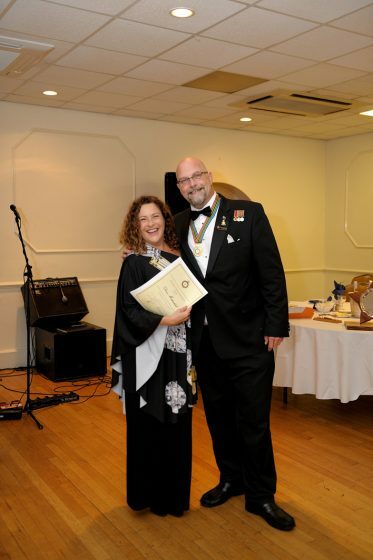 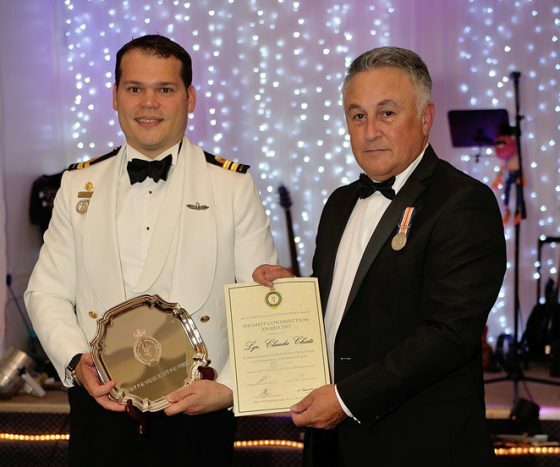 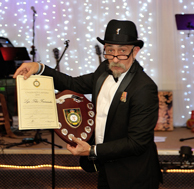 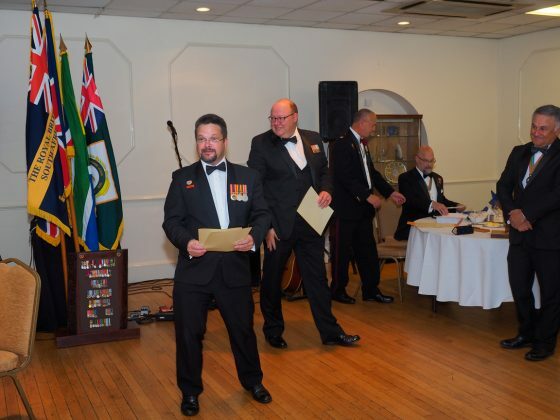 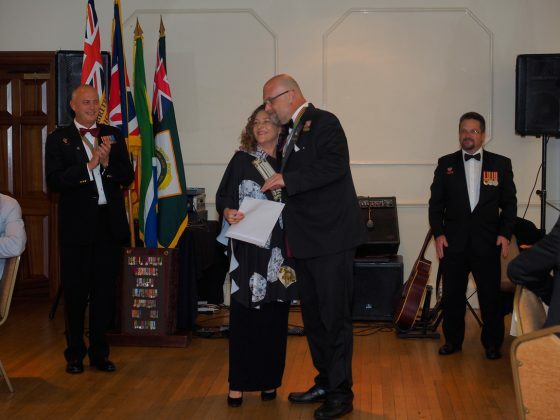 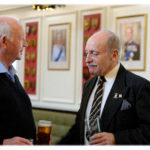 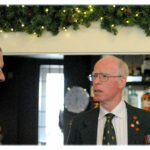 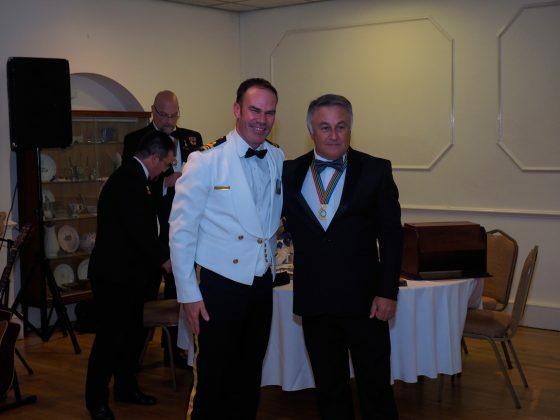 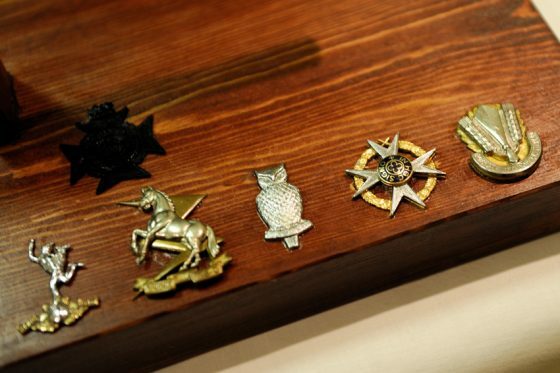 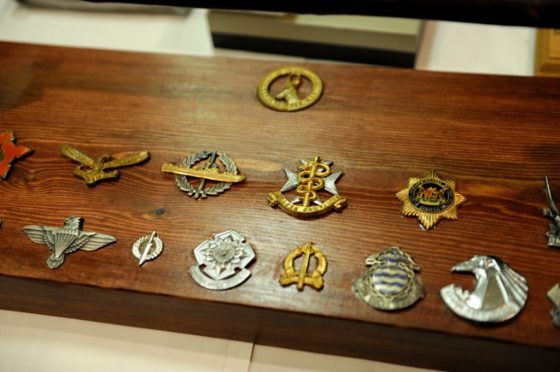 Following the excellent three-course dinner, awards were presented to those who had distinguished themselves in serving the Legion during the year. 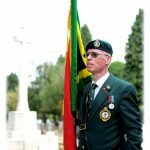 For the legionnaire whose conduct and action epitomise the Ethos and Credo of the SA Legion, “Not for ourselves, but for Others”. 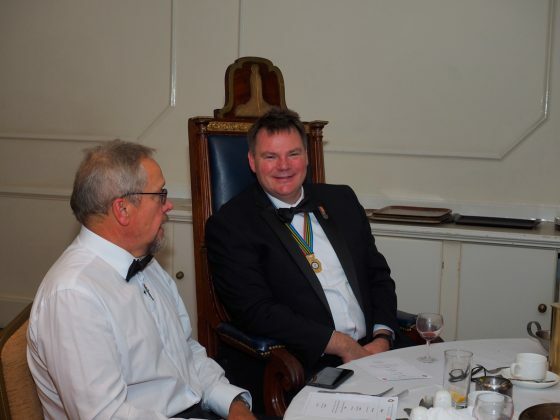 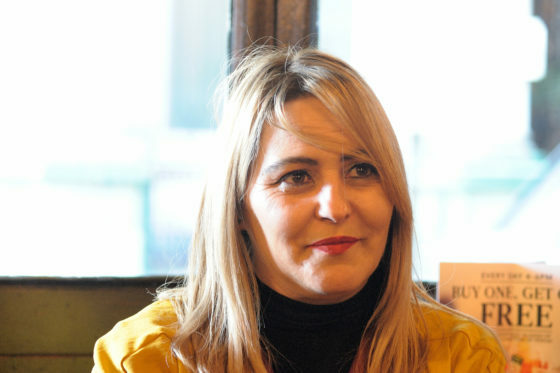 England Chair Lgr. 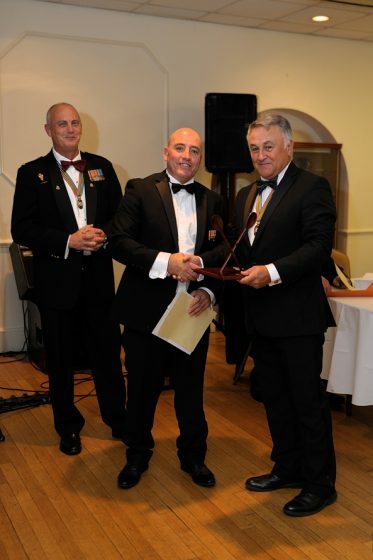 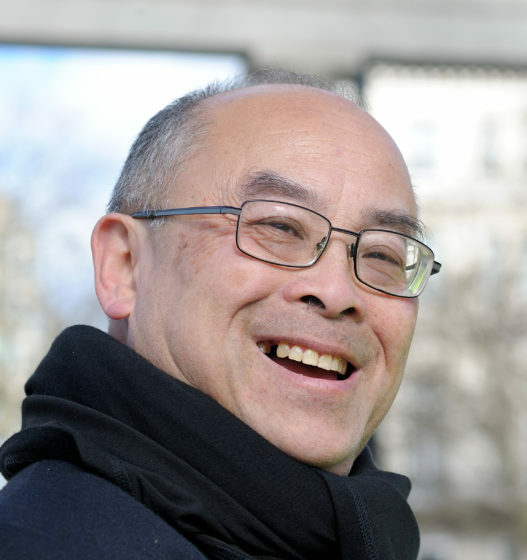 Claudio Chisté receives the 2017 Highest Contribution Award from Regional Chair Lgr. 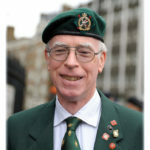 Cameron Kinnear. 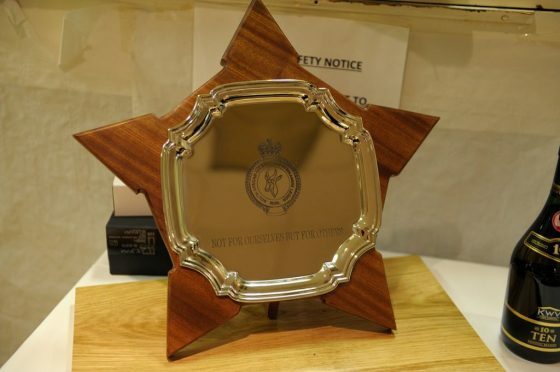 Also called the “Not for ourselves but for Others” Award. 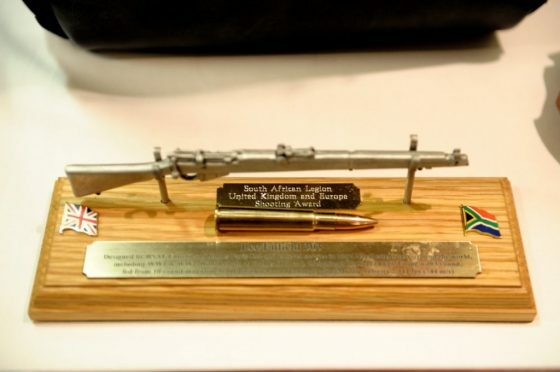 For the legionnaire who made the greatest economic/fundraising contribution over the course of the year. 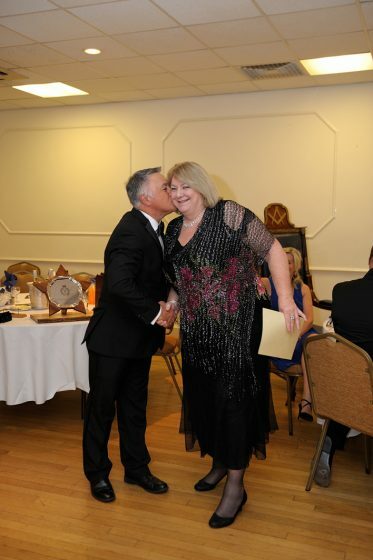 This is for a wife who had to put up with people working all hours to get things done, a wife who has shown dedication above and beyond the call of duty. 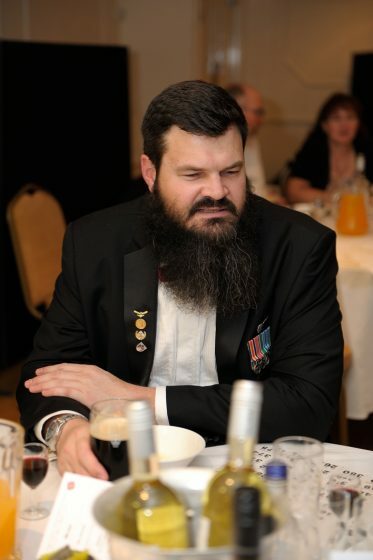 For the legionnaire who is always joking, causing “strond” or just a character. 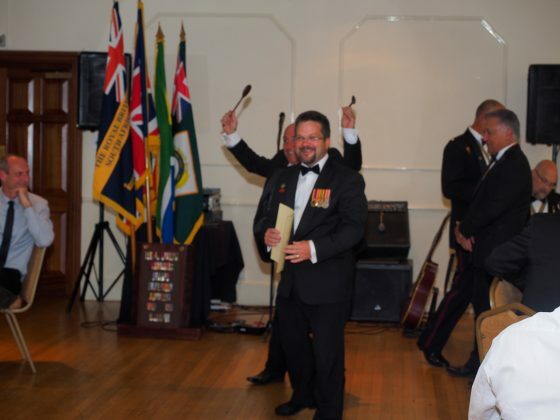 This award goes to the SA Legion Member who was the best shot in 2016/17. 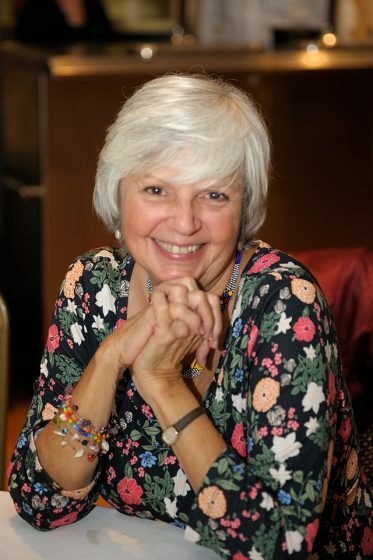 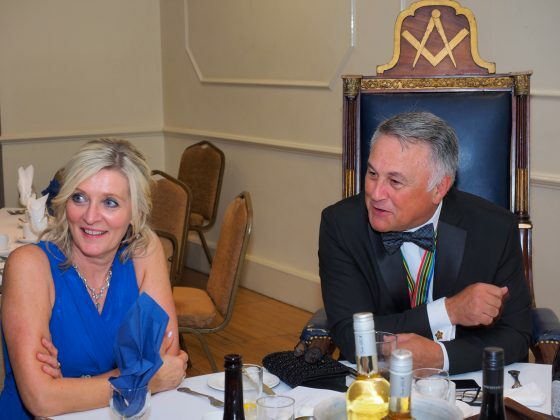 “Ladies, Gentlemen, Legionnaires, Friends – all protocols observed. 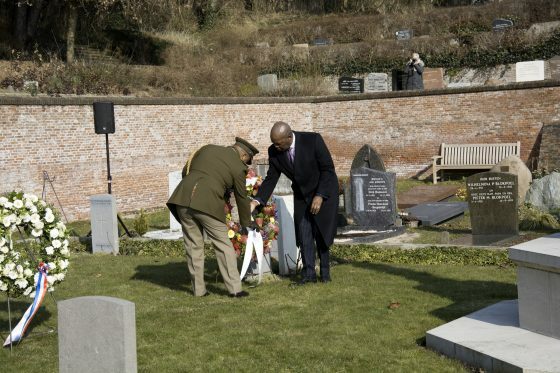 “On 21 February 1917, the SS Mendi sank after she was rammed by the SS Darro in mist off the Isle of Wight. 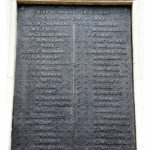 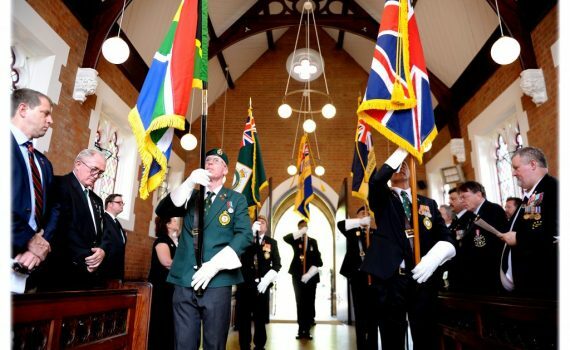 It claimed the lives of more than 600 South African servicemen. 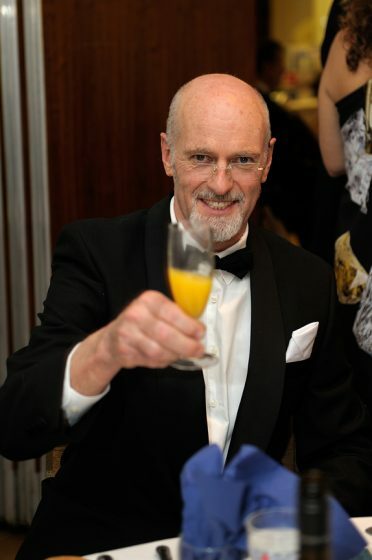 Tonight, that same misty, icy stretch of water alas precludes me from joining you. 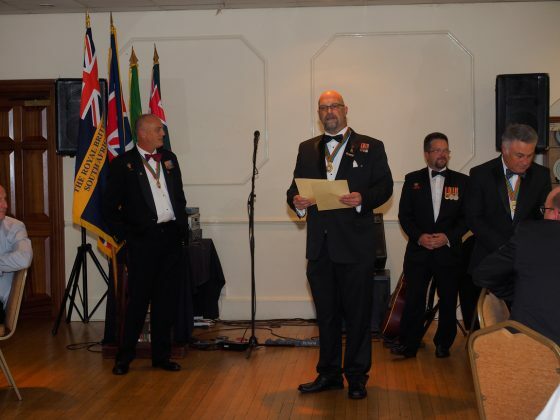 However, it is a great honour to receive this certificate, and I must do so with special thanks to those Legionnaires and wives who over the years have supported our SS Mendi parades and events, both in the UK an in the Netherlands. 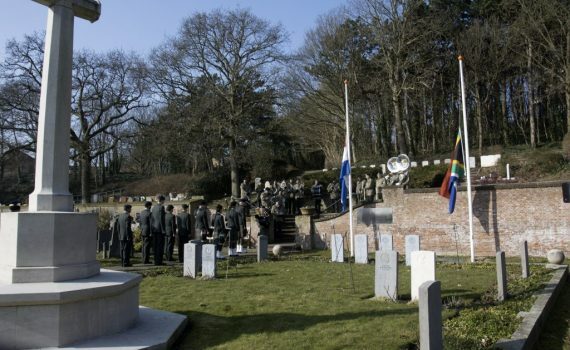 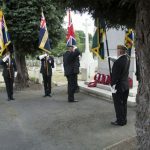 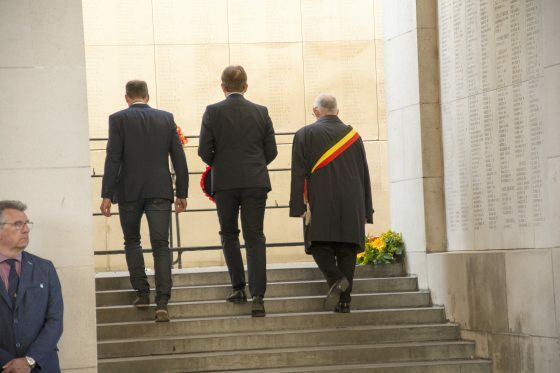 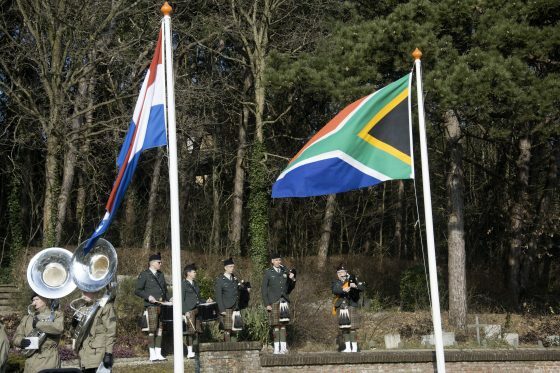 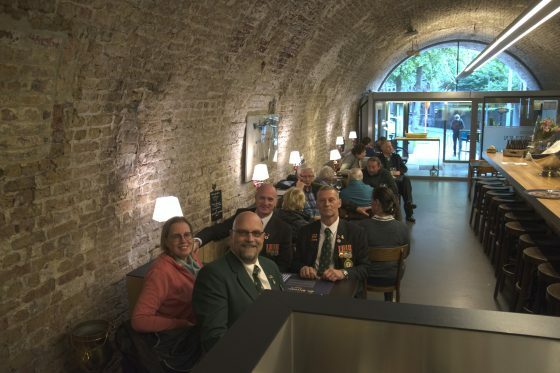 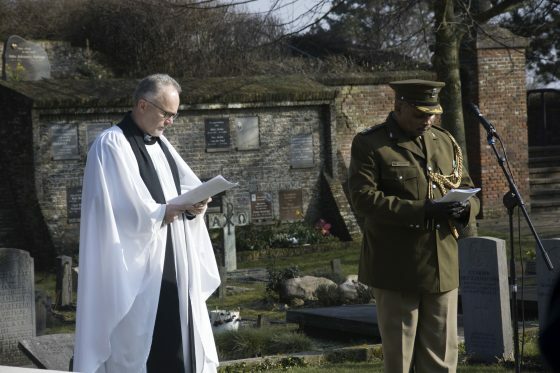 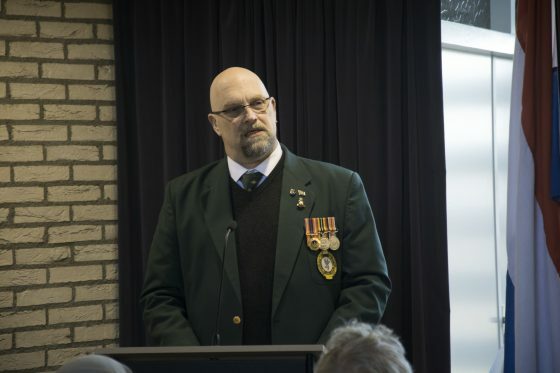 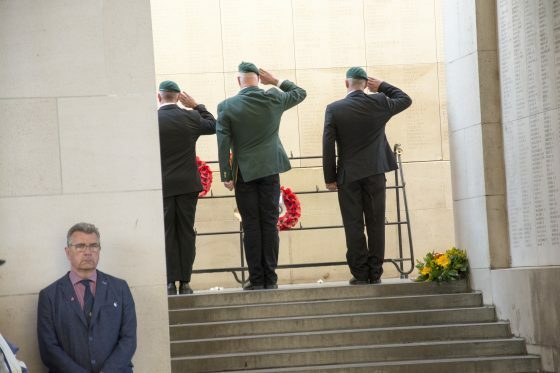 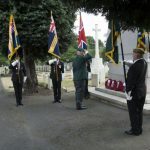 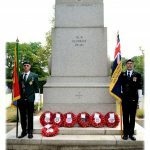 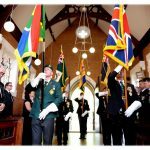 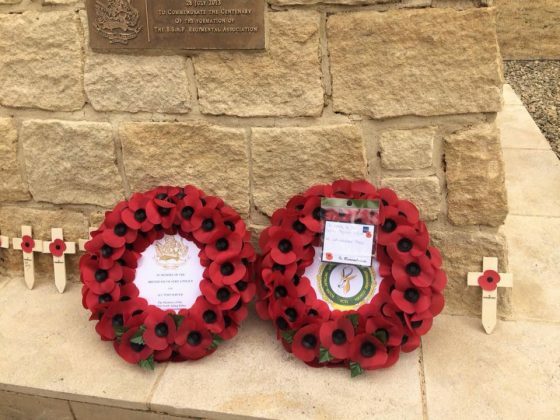 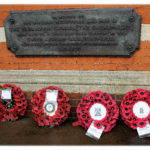 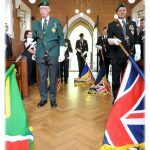 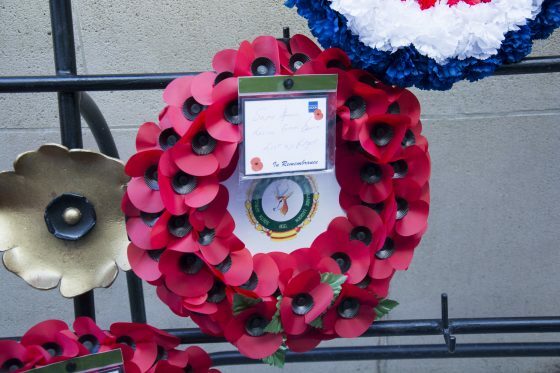 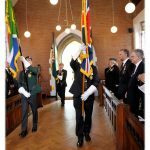 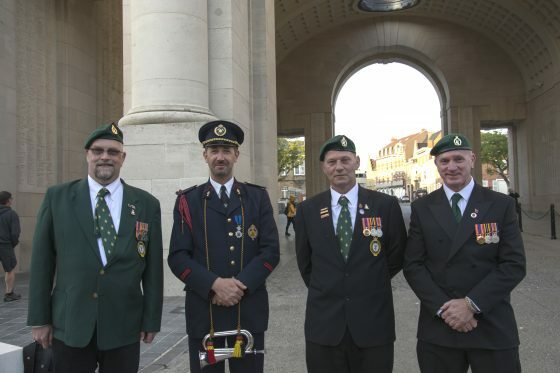 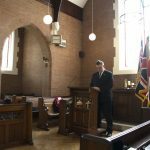 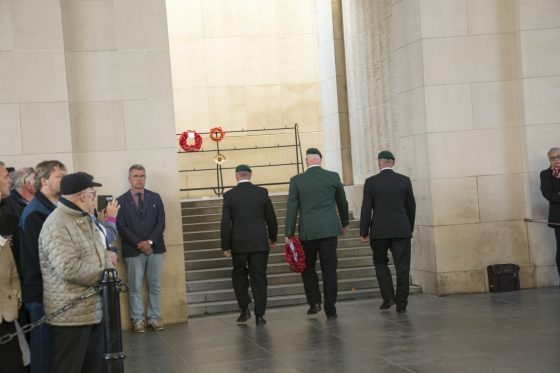 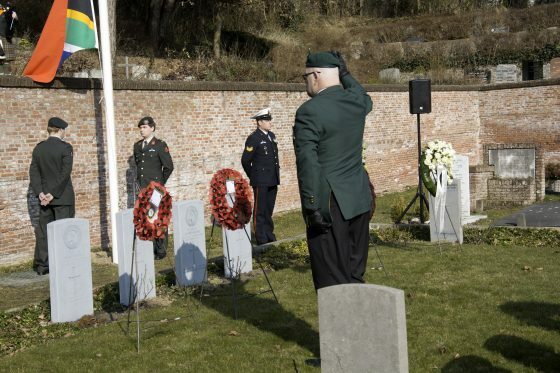 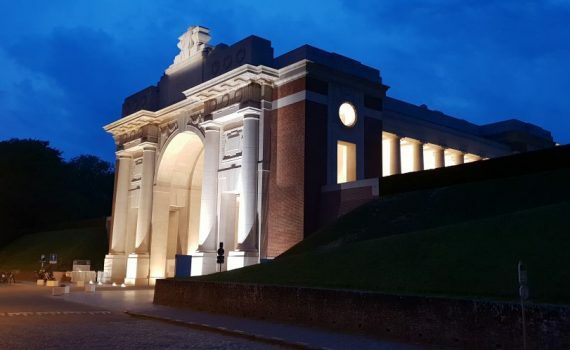 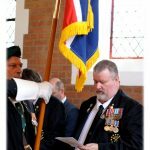 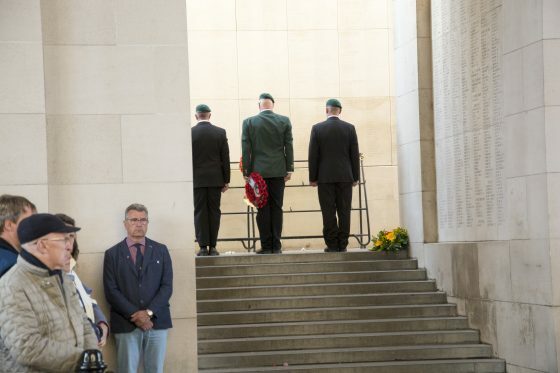 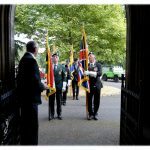 “A word of acknowledgement too for the sterling effort and cooperation of local authorities such as the Municipality of Noordwijk, who have opened their arms and their hearts to our fallen servicemen who now rest in their soil. 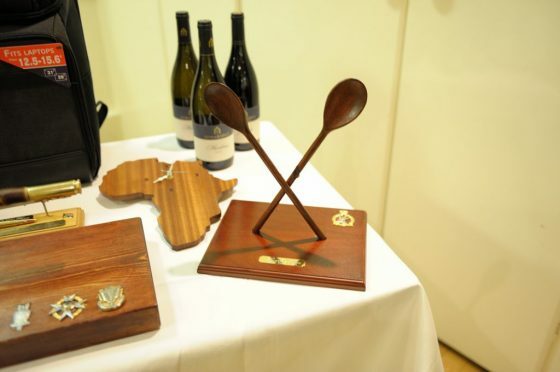 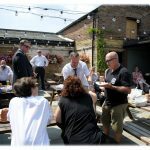 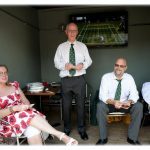 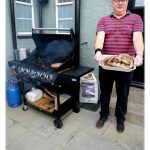 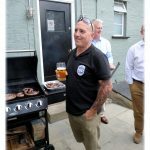 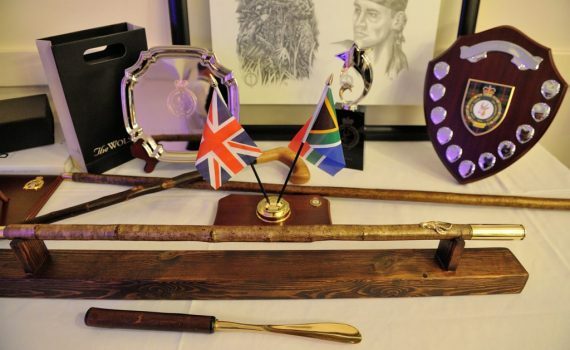 The raffle followed, with an array of prizes worth over £3,500, and an auction of special items, all of these having been raised by the efforts of SA Legion UK & Europe Branch Vice-Chair, Lgr Russel Mattuschek. 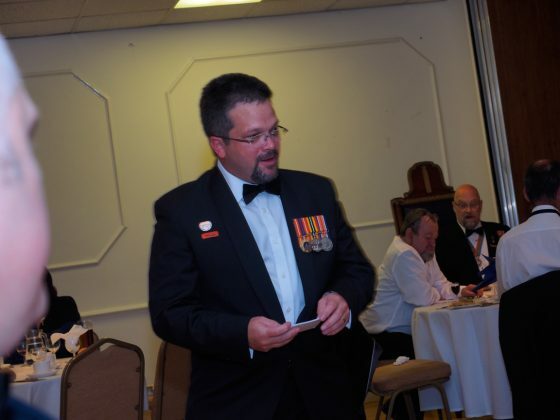 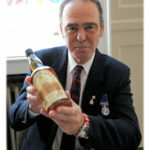 The proceeds raised funds towards veterans in need after a great job by Cameron as auctioneer. 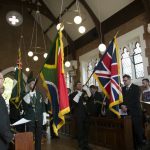 Then it was time for great South African flavoured band, M27s, to perform a selection of SA songs (suikerbossie etc) giving some members a chance to show off their langarm moves. 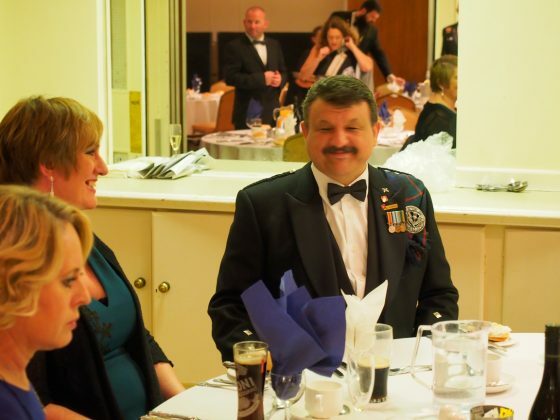 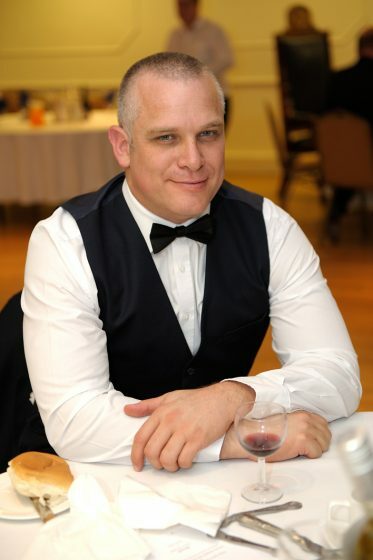 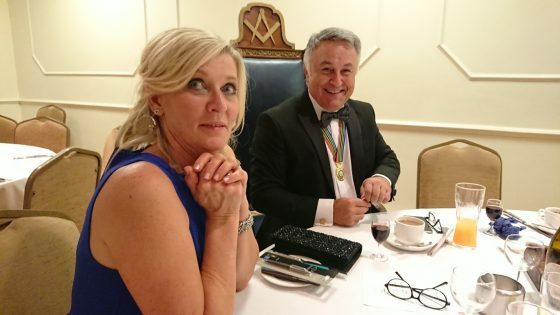 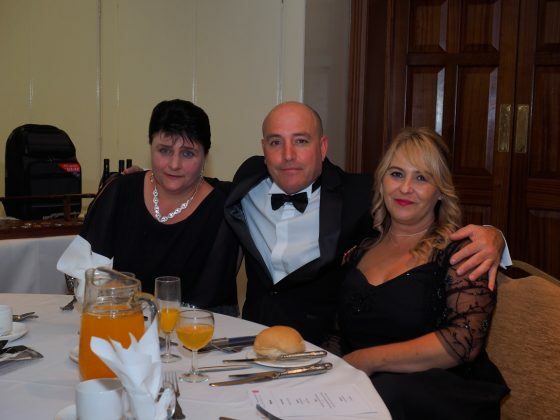 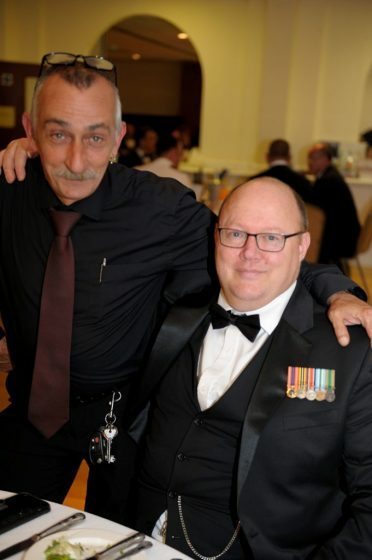 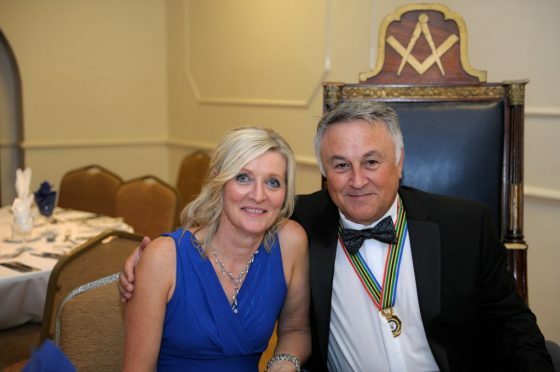 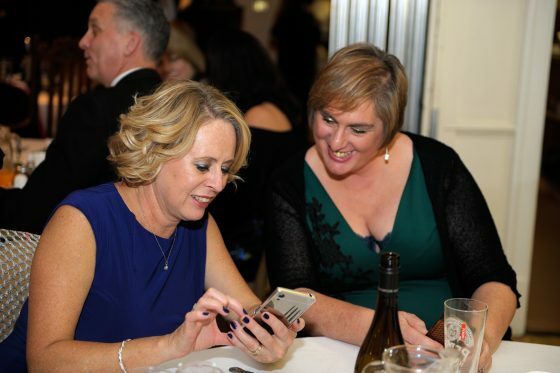 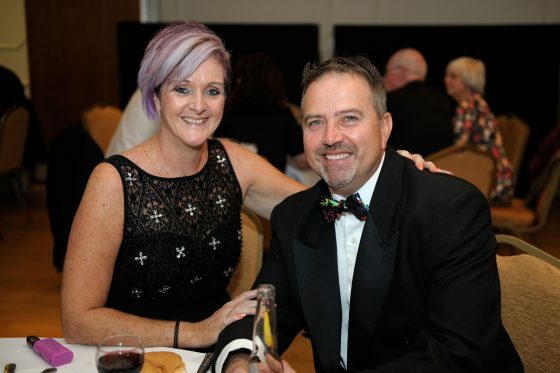 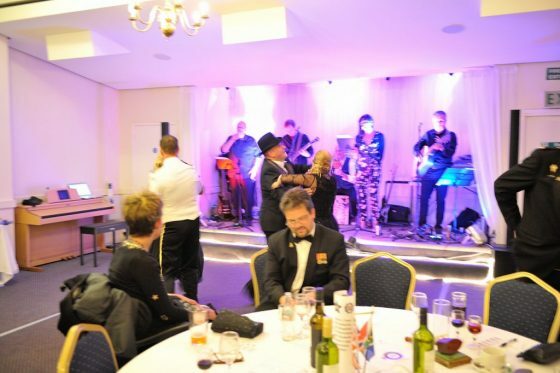 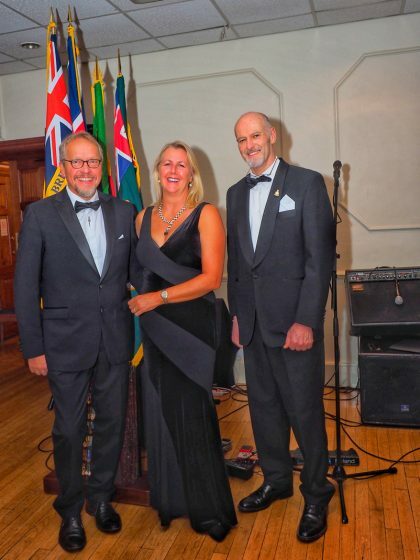 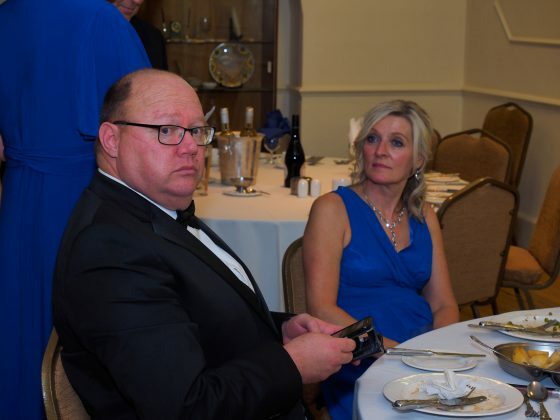 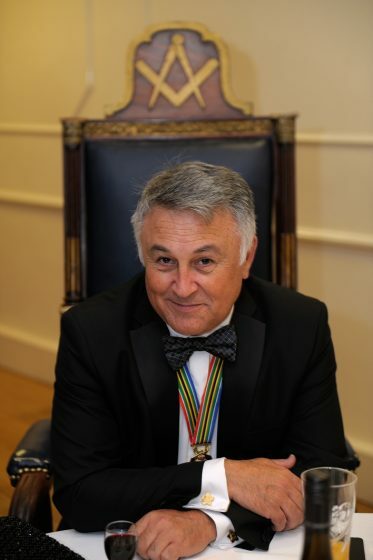 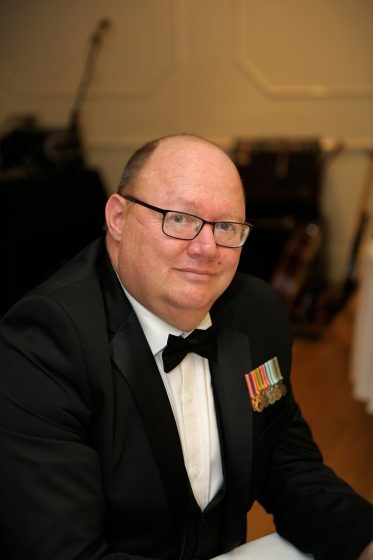 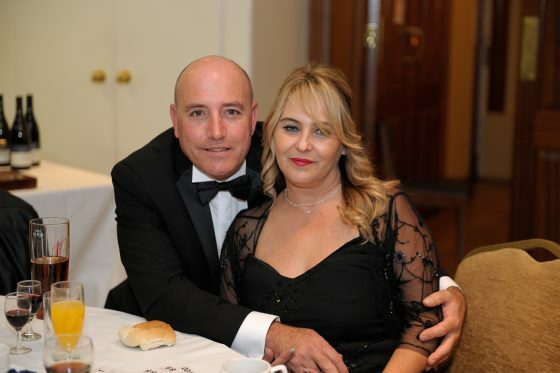 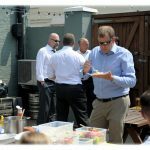 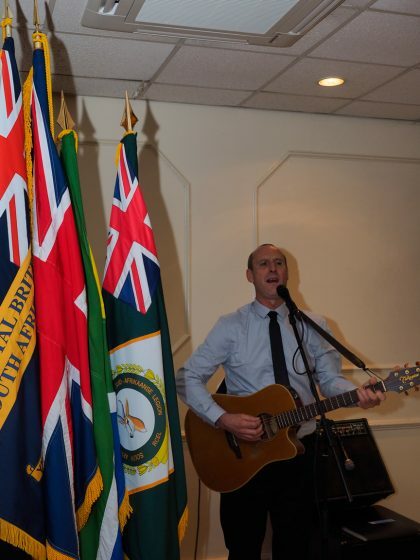 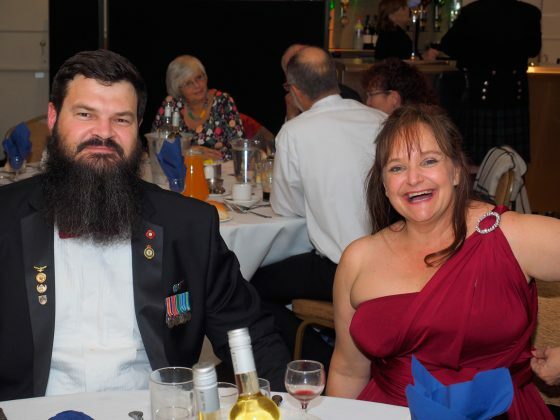 This event, organised by the sterling efforts of Legionnaires Russel Mattuschek, James Dow and Cameron Kinnear, has firmly established the Annual Ball as the social highlight of the SA Legion UK & Europe year and will be eagerly looked forward to next year. 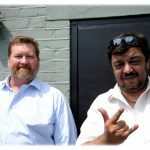 The Event link is here. 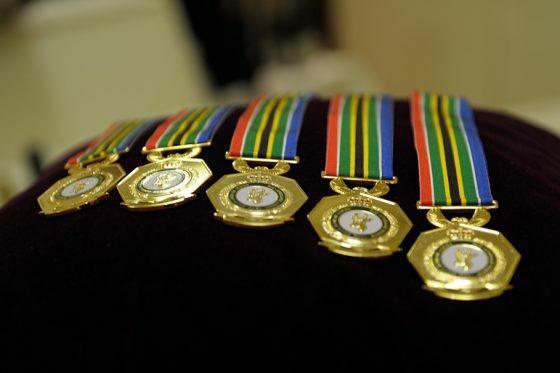 The recent storm and floods that hit Durban on October 10 caused extensive damage, not least to the SA Legion flats at BESL Court in Umbilo, which suffered the loss of their roof and water damage to the flats and contents below. 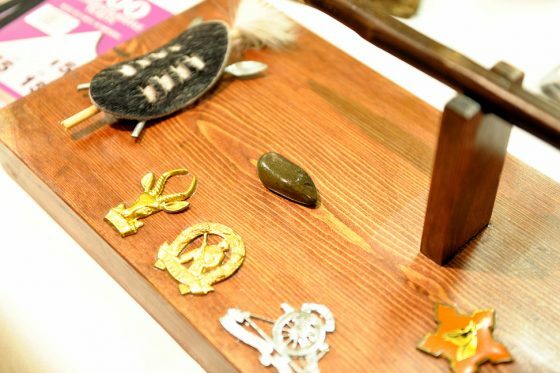 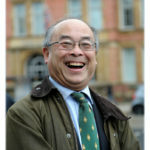 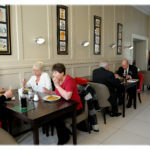 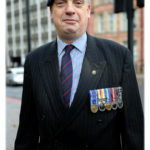 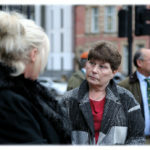 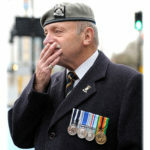 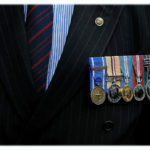 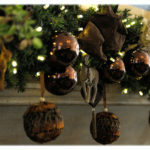 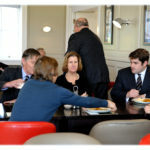 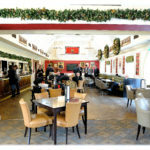 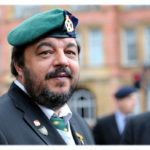 BESL Court is home to some of our less fortunate brother veterans who now need help to put their lives back together. 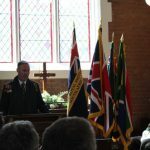 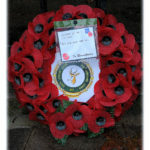 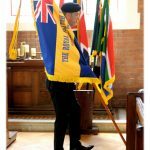 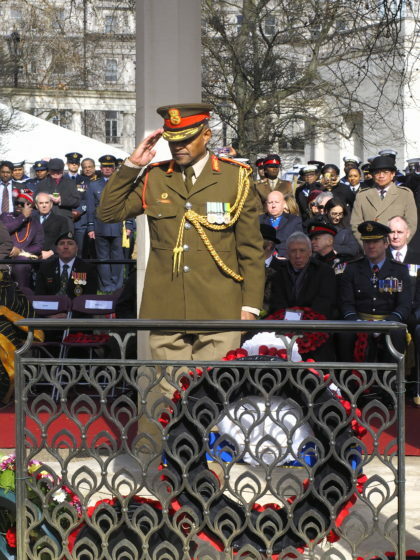 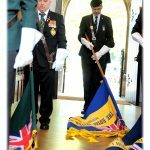 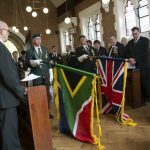 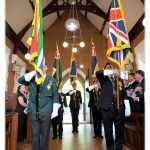 The South African Legion UK & Europe is on standby to play its part in contributing to the relief efforts. 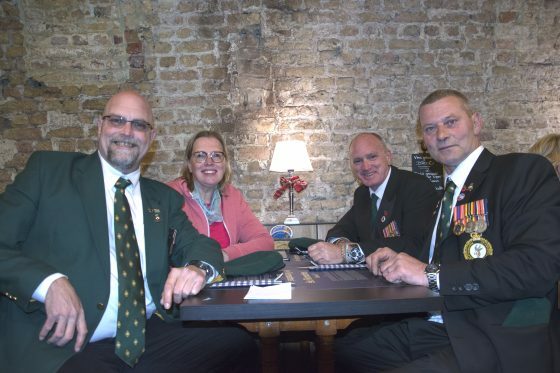 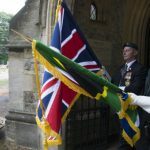 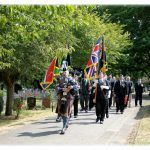 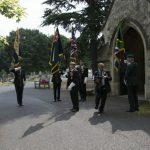 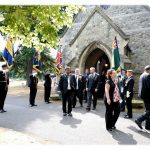 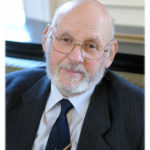 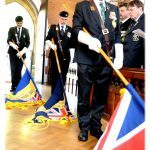 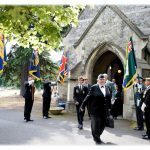 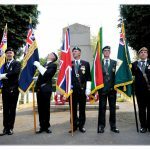 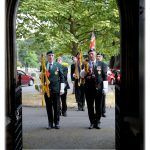 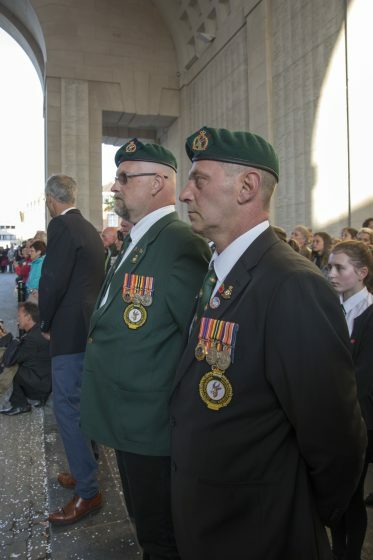 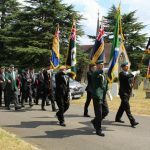 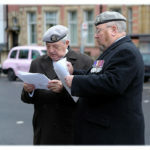 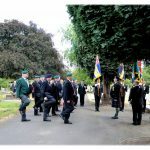 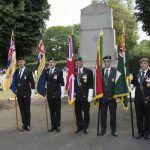 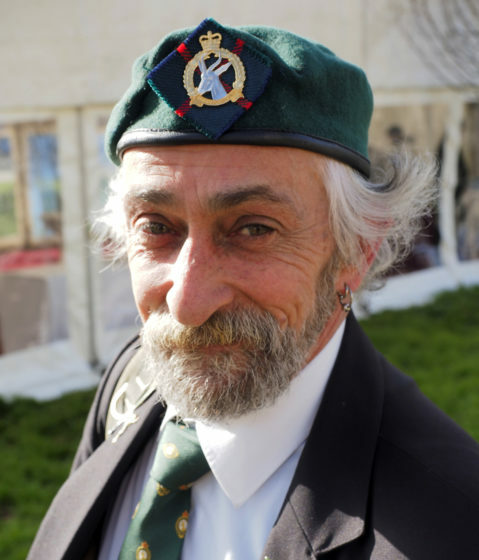 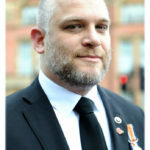 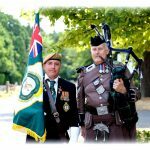 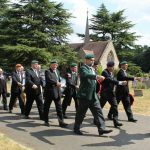 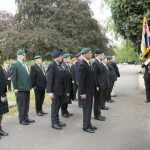 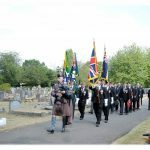 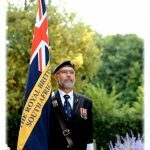 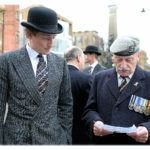 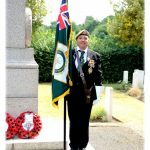 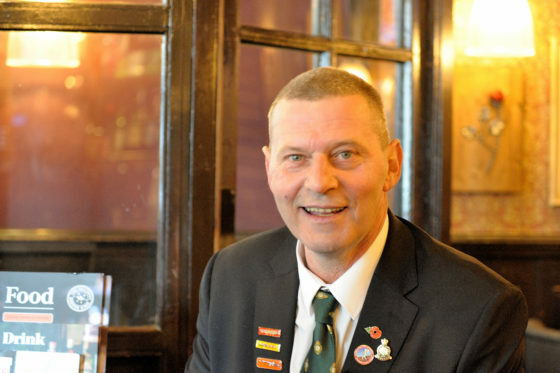 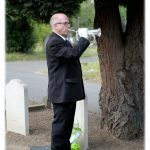 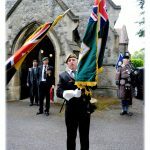 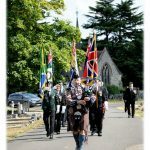 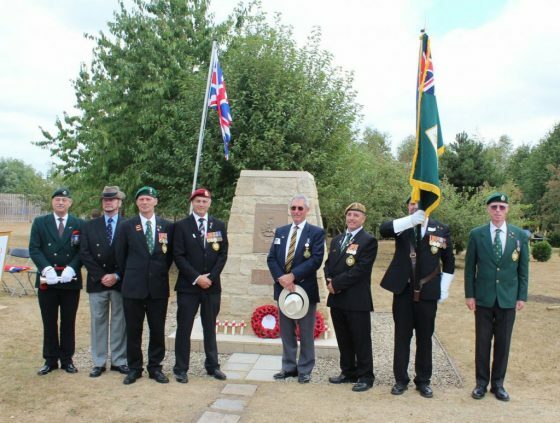 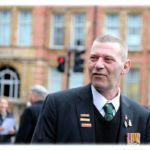 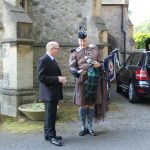 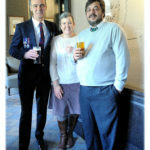 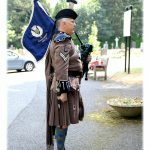 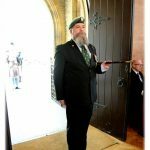 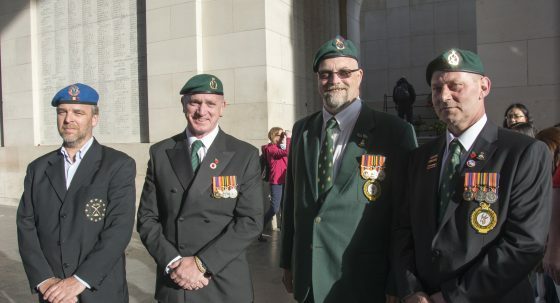 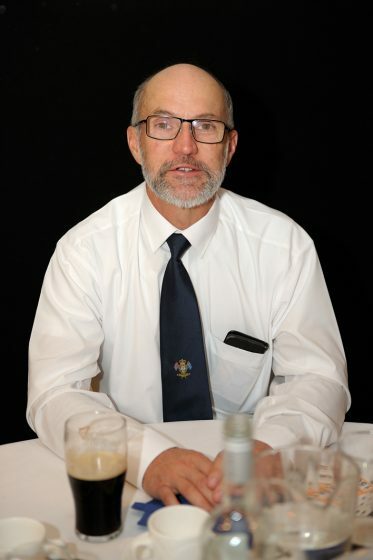 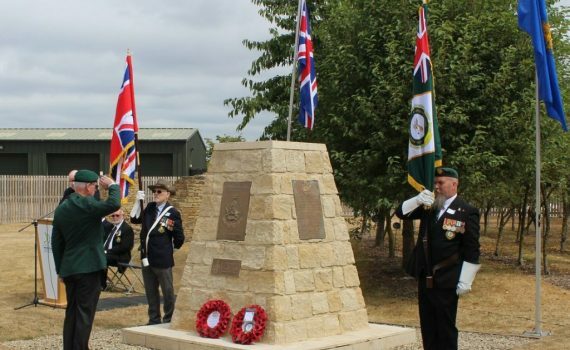 Building on a successful individual effort, Marching For Others march earlier this year, the Legion will this time embark on a group route march with this ‘vasbyt’ raising funds for fellow veterans in need. 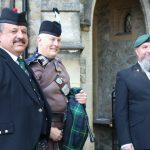 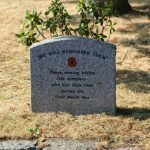 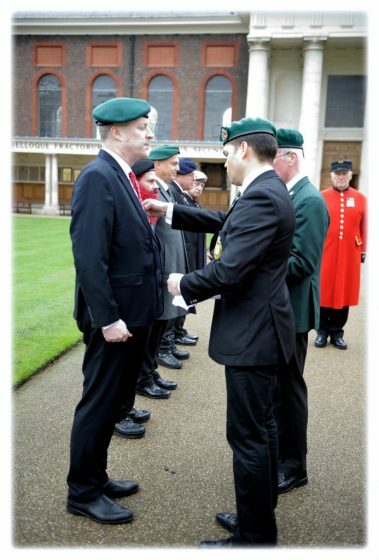 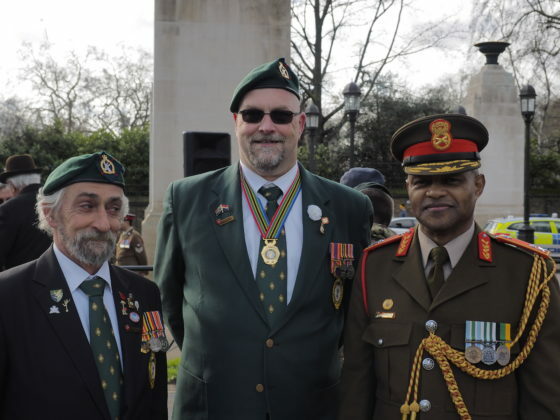 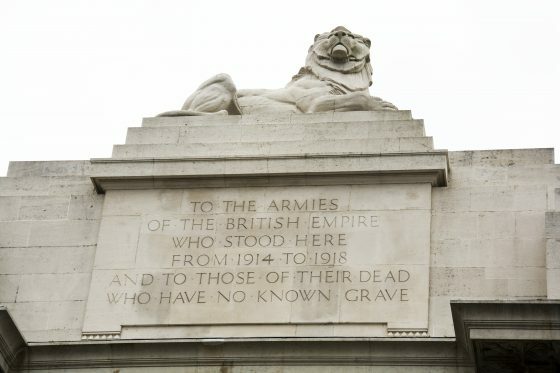 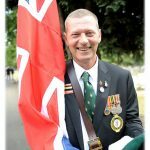 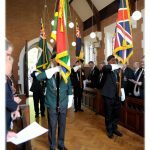 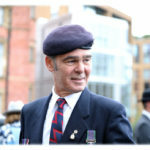 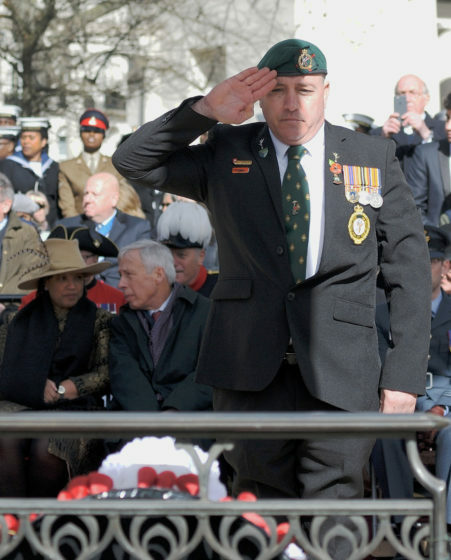 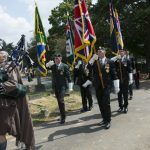 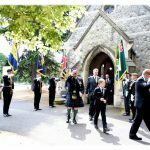 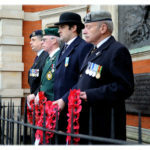 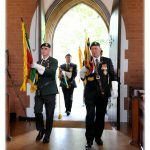 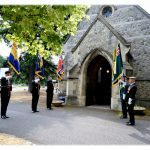 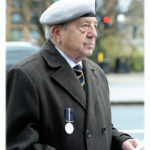 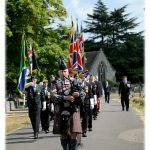 Military veterans are invited to join us on Sunday November 25 to take part in the Marching For Others: Three-Point Challenge as we march from South Africa House, Trafalgar Square, via Parliament Square to the SA Cenotaph at East Sheen cemetery. 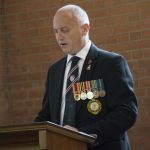 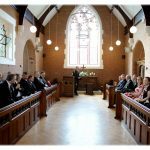 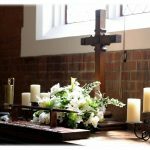 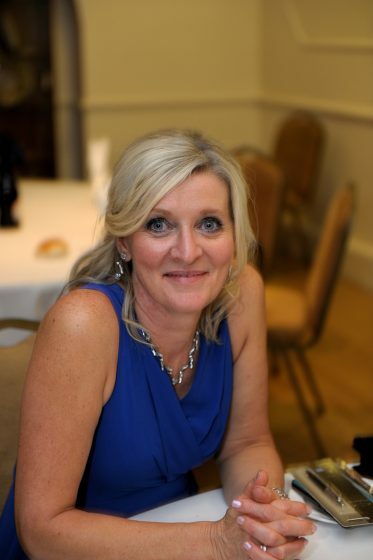 We are aiming to raise £1,000, with all participants encouraged to obtain sponsorship from family and friends to reach a minimum donation of £50,00 each. 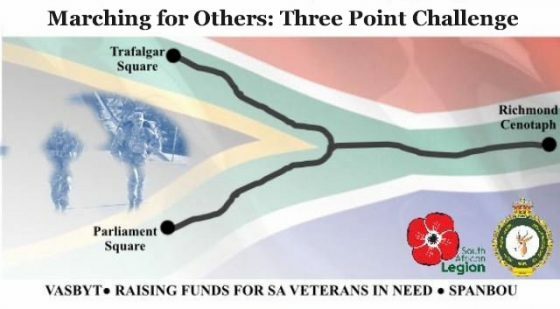 The good news is you don’t have to participate to donate, anyone may make a donation to the Marching For Others: Three Point Challenge crowdfunding site via the link below. 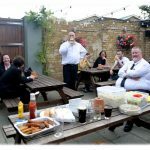 The distance to be covered will be 8 miles and the target is to achieve this in less than three hours’ walking time, excluding a few stops along the way to imbibe some liquid fuel. 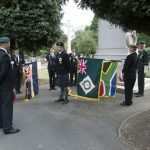 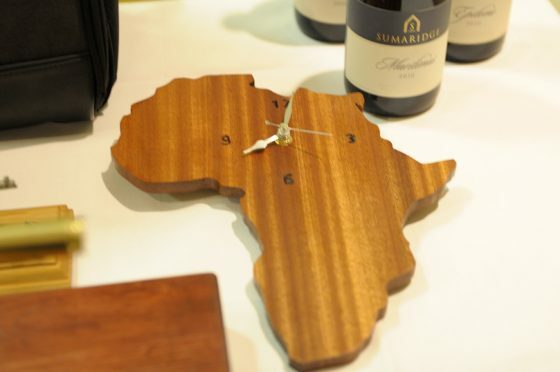 Along the route, three historically significant South African landmarks will be covered. 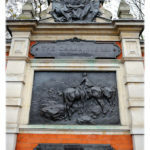 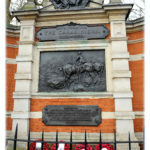 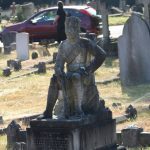 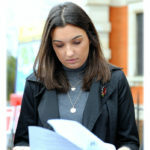 Point 1: South African High Commission, Trafalgar Square; Point 2: Statues of Mandela, Smuts, and Gandhi at Parliament Square; Point 3: South African War Memorial (Richmond Cenotaph). 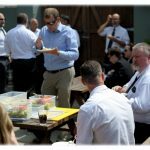 Refreshment stops will be included along the way. 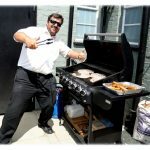 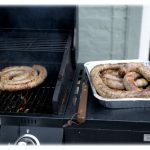 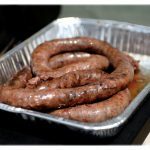 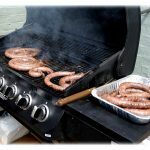 There will be a braai at the end to recharge the inner man and swap ‘war stories’, evoking the ‘GV’ feelings within us. 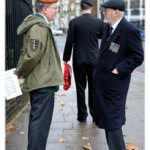 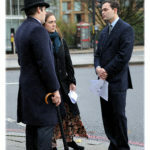 Dress is to be Legion beret, black polo/T-shirt, brown military trousers and brown boots or suitable military walking shoes (see photo). 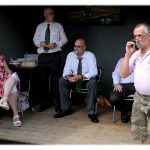 For those who would like them, black SA Legion polo shirts embroidered with the SA Legion logo, are available at £30.00 each. 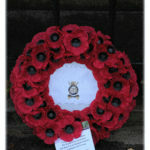 A portion of this cost will go towards our target (further details to be provided once participation is confirmed). 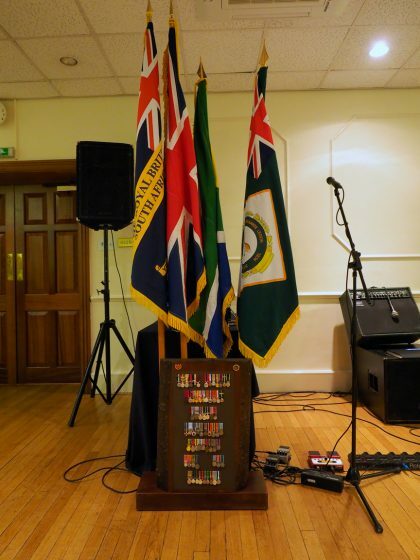 Should we exceed our fundraising target, surplus funds will go towards SA Legion UK & Europe projects. 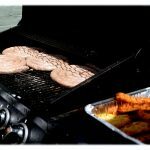 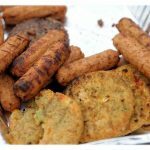 This is an opportunity to enjoy a healthy day out and have some fun while assisting our brother veterans in need by giving life to our motto: Not for Ourselves, but for Others. 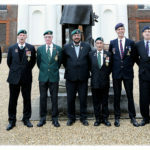 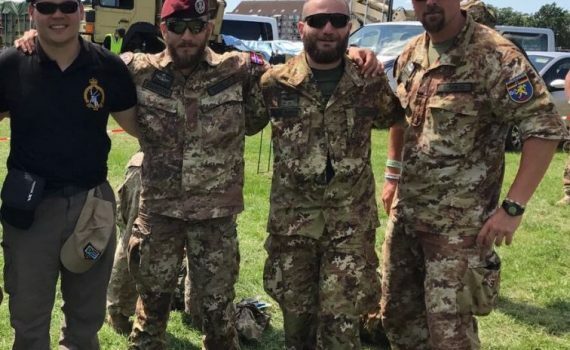 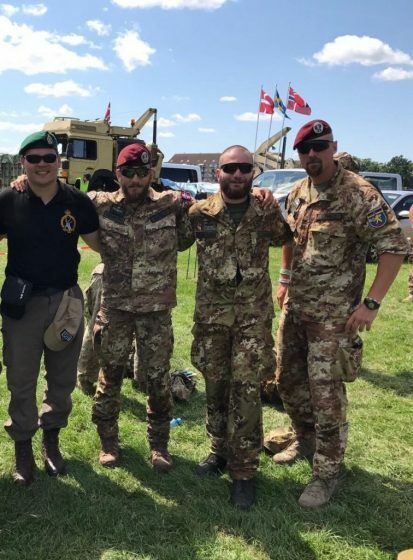 SA Legion England Chair Claudio Chistè (left), wearing the appropriate marching kit, standing beside Army paratroopers.